ALS has been killing it lately when it comes to stylish dressy watches. The 1815 is a marvel to behold, and is sure to grab lots of attention whenever you wear it out. 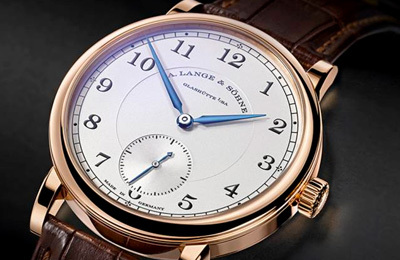 The Grand Lange is the watch for the true enthusiast. A stunning piece that showcases everything that makes ALS the brand it is today. The AP15400 is a stunning piece. 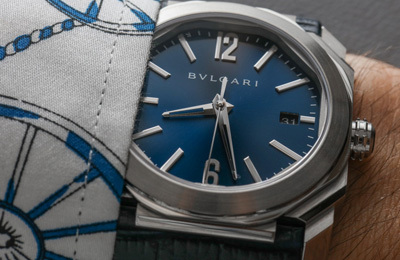 The boutique edition blue dial is really something to behold, a must wear for any member. The AP15400 is a stunning piece. Its a very versatile piece that can be worn both when you need to dress up and when you want just wear a pair of jeans and a tshirt. The AP15400 is a stunning piece. But the rose gold really takes it to the next level. Definitely not a watch for the faint at heart. 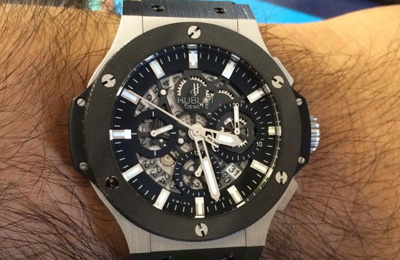 This AP is a stunning piece. And these are even rarer in the wild than the base 15400 versions. 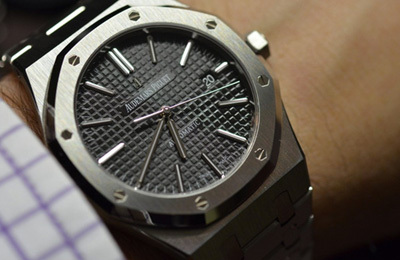 Audemars make some of the most stunning pieces out there today. 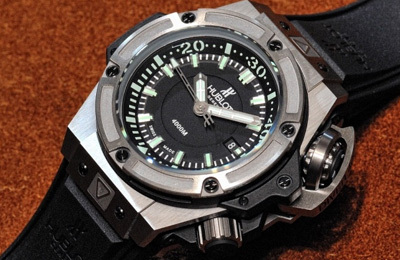 This is the Royal Oak Diver. It's a 42mm version finished with a black dial and a stainless steel case. 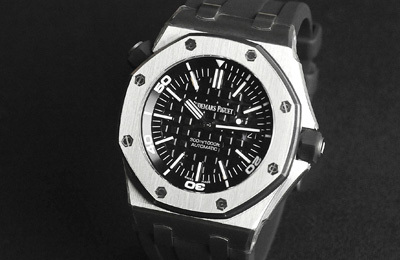 Perfect for anyone who thinks the Offshores are a bit much, yet still wants to wear a bigger sized AP. 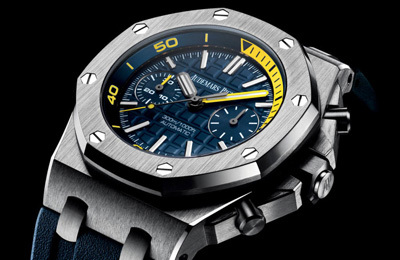 This takes the AP Diver and pairs it with a light ceramic case. 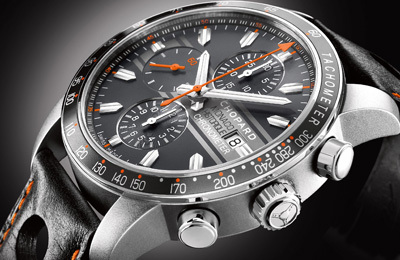 The orange accents paired with a black ceramic case really show off the sportiness of this watch. 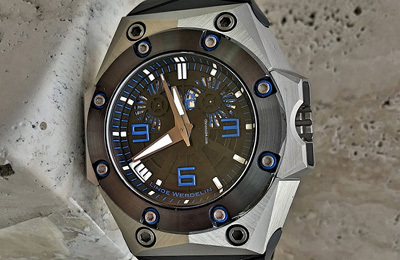 This takes the AP Diver(a unique watch in it's own right) and takes it to the next level. The forged carbon case is truly a masterpiece to behold. This adds a little color to the AP Diver with a unique blue dial. 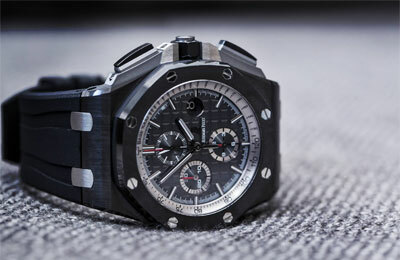 And gives you an alternative to the usual AP Royal Oak Offshore chronograph. 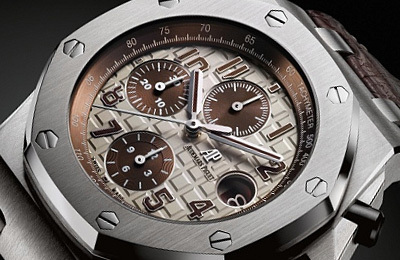 Audemars Piguet Royal Oak Offshore chronographs are some of the most stunning watches on the market today. 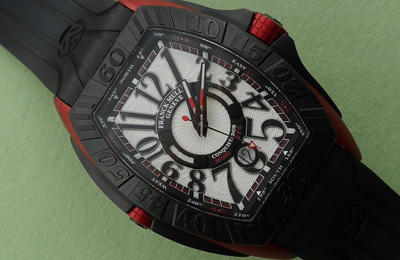 This Black Themes comes with the updated dial that adds red accents to the dial, dubbed appropriately the "Vampire". 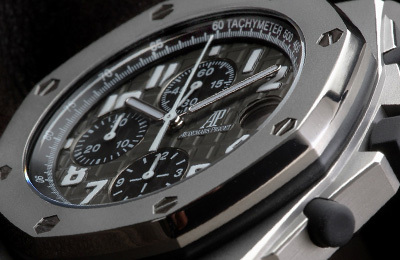 Audemars Piguet Royal Oak Offshore chronographs are some of the most stunning watches on the market today. 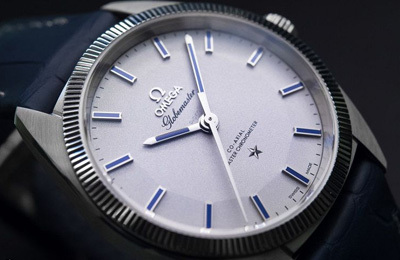 This Blue Themes comes as the name suggests with a stunning blue dial that really makes the watch shine. 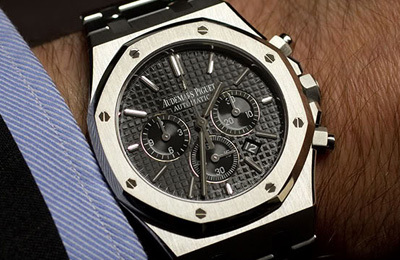 Audemars Piguet Royal Oak Offshore chronographs are some of the most stunning watches on the market today. 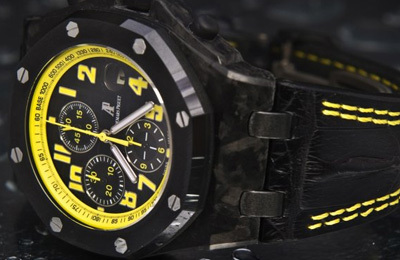 This Bumblebee edition features stunning forged case with yellow accents. 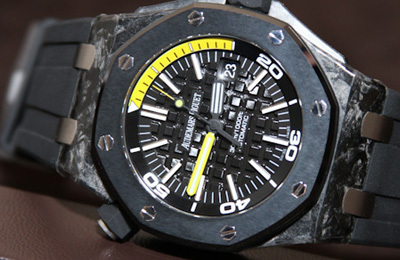 Audemars Piguet Royal Oak Offshore chronographs are some of the most stunning watches on the market today. 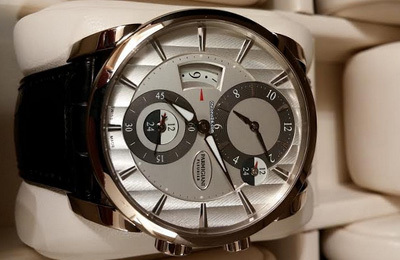 The Chronopassion has a Titanium case and a gray dial that gives it that subdued luxury look. 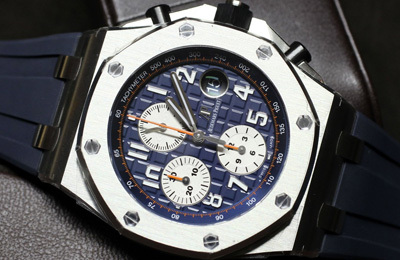 Audemars Piguet Royal Oak Offshore chronographs are some of the most stunning watches on the market today. 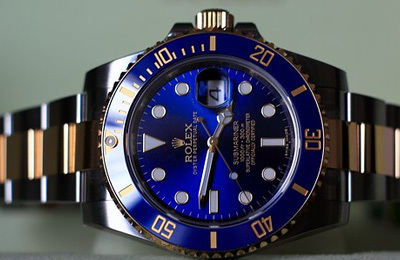 This is the Navy edition with the updated dial. It's blue with orange accents that really make the watch pop. 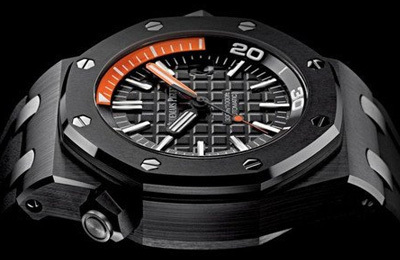 Audemars Piguet Royal Oak Offshore chronographs are some of the most stunning watches on the market today. 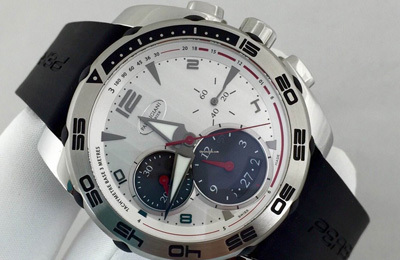 This Panda edition features a white dial with black numerals and red accents. Truly a stunning watch to behold. 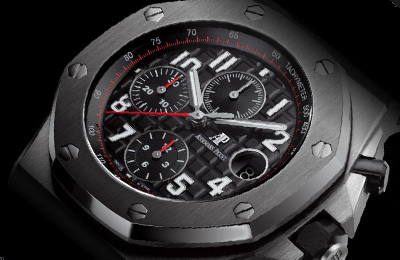 Audemars Piguet Royal Oak Offshore chronographs are some of the most stunning watches on the market today. 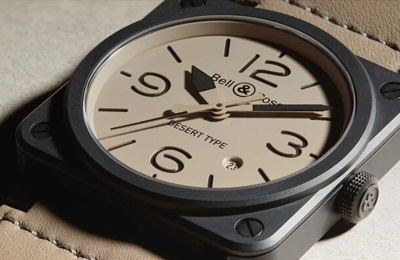 This is the Safari edition with the updated dial that features brown accents on a cream dial. 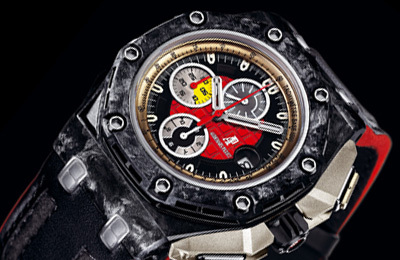 This isn't your regular Audemars Piguet. 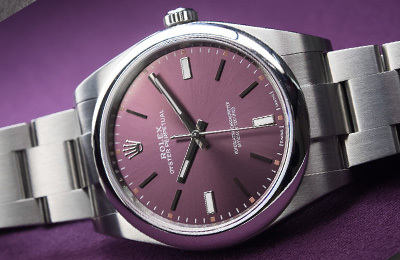 Unlike most Royal Oaks, which just get a new dial and different color hands, this one is a truly unique piece that will wow anyone who sees it. 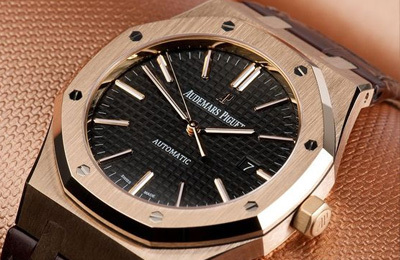 When it comes to luxury watches, Audemars Piguet Royal Oak line is at the top of the food chain. 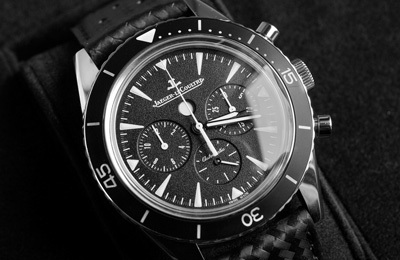 This is the 44mm Offshore chronograph version. 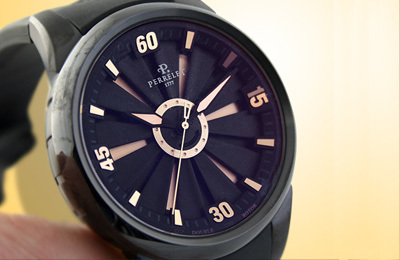 It comes finished with a gray dial and a ceramic case. 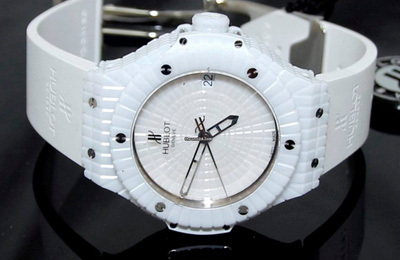 The quality of this watch just screams luxury, make everyone gawk when you show up with this on your wrist. 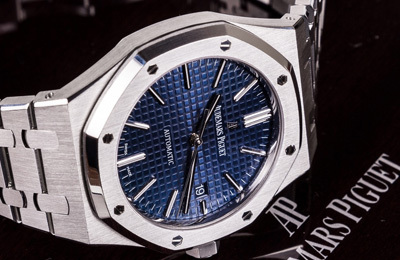 This watch takes the Royal Oak Offshore to the max. The forged carbon case really shows of just how special the watch is and the classic black/red combo makes for a very sporty combination. 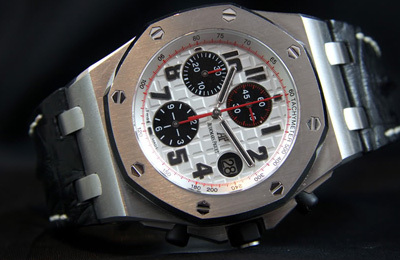 By far the most popular Audemars Piguet watch. 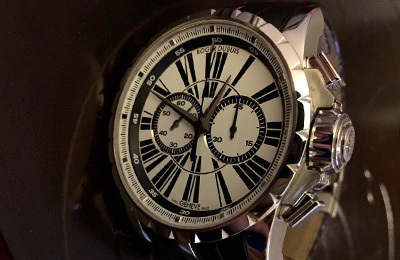 This is a stunning watch, it's all about the details. A forged case, rose gold accents, and a stunning dial that will have you staring at it for hours. Paired up with a nice strap made from alcantara, and you get a truly amazing looking work of art. This is a truly unique watch. 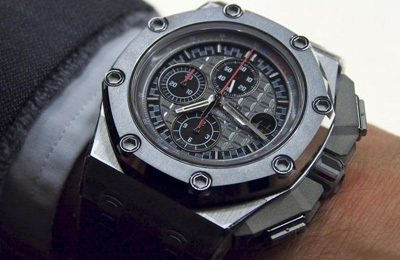 The 44mm Michael Schumacher limited edition Audemars Piguet Royal Oak Offshore. It has a titanium case, a unique red datewheel, and a design that just screams racing. 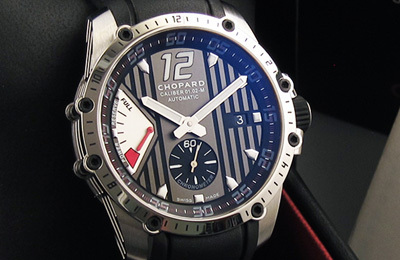 If you are the fan Carroll Shelby and the classic Cobra, then this is the watch for you. Featuring a stunning blue dial, racing stripes and red accents and an iconic cobra hour hand will leave you staring at this watch for hours. 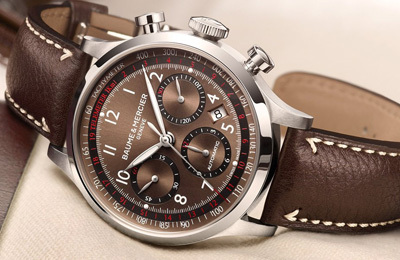 This is a stylish chronograph, that punches well above it's tier. 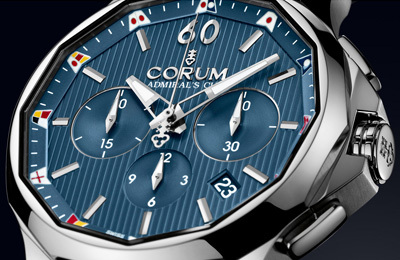 The dial is finely engraved and very easy to read while the blue hands give it that extra touch of sportiness. 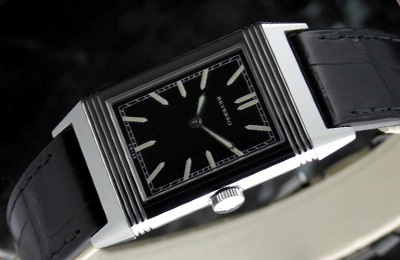 One of the few truly square watches on the market. Just something different to change things up a bit. A little bit smaller than the 01-92 model, but a striking watch none the less. The beige dial is something fairly unique in the watch world. A little bit smaller than the 01-92 model, but a striking watch none the less. 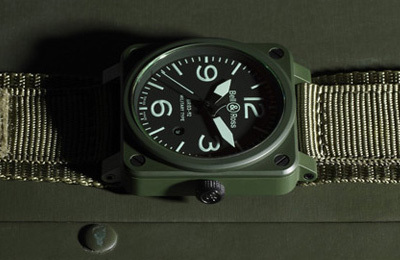 The military khaki theme helps separate it from all the other watches on the market. A little bit smaller than the 01-92 model, but a striking watch none the less. 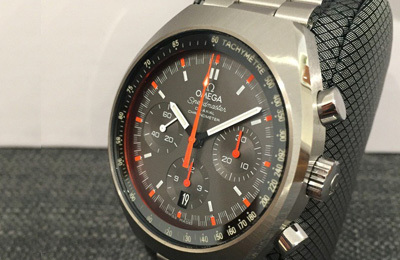 This is the same version as the 03-92, it just comes with a power reserve. 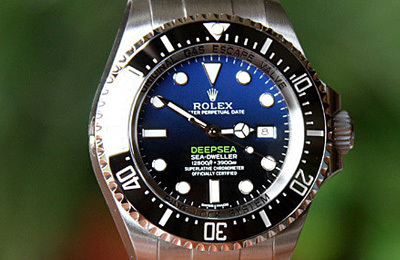 A classic dive watch, as the name suggests it can hold it's own in the deep end. 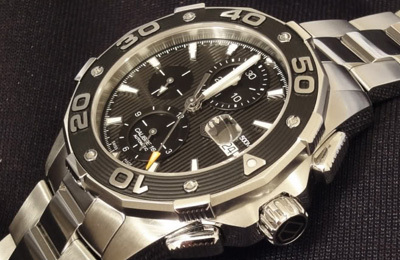 A classic dive watch with a chronograph, as the name suggests it can hold it's own in the deep end. 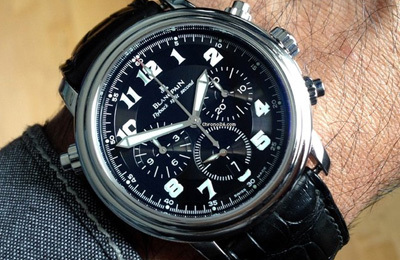 A classic chronograph from Blancpain. The small size makes this a very good dress watch. 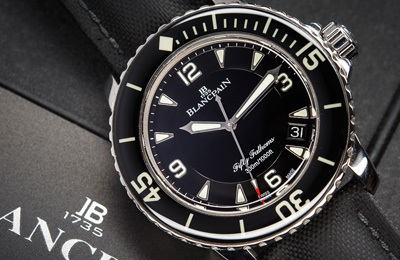 The case is engraved with Blancpain, for that extra touch of class. 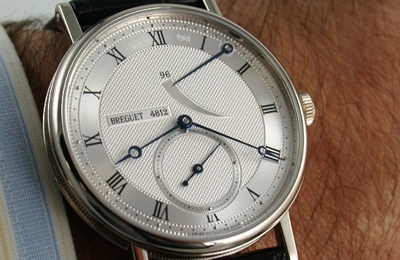 A classic elegant dress watch from Breguet that is perfect for any occasion. And at just 8mm thick, it's also one of the lightest watches you'll wear. A classic elegant dress watch/diver from Breguet. 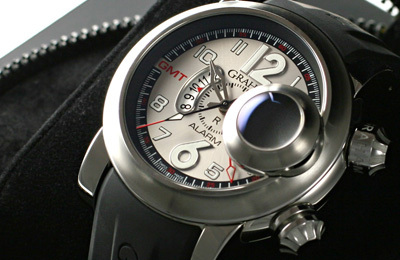 Unlike most GMTs that just have a GMT hand, this one has a whole subdial dedicated to the GMT function. 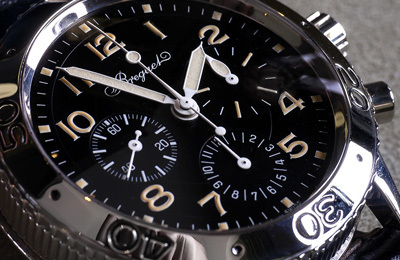 A classic Breguet chronograph with remarkable attention to detail. 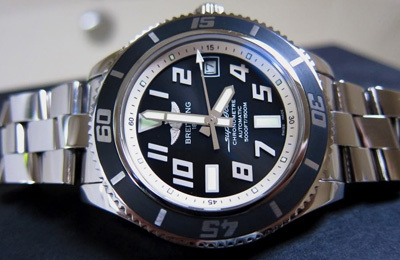 A classic diver from Breitling. 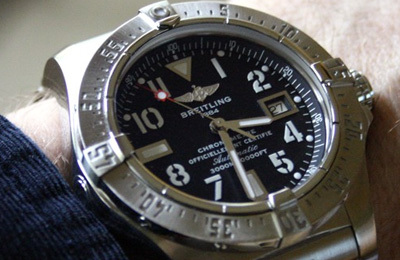 Engraved bezel, arabic numerals and a red tipped seconds hand for that classic Breitling look. 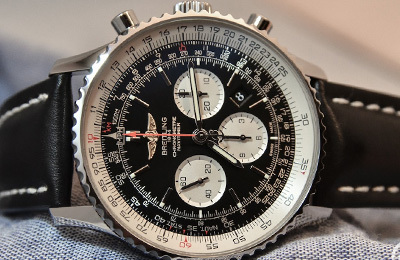 A massive 49mm Breitling that's designed for the biggest of wrists. 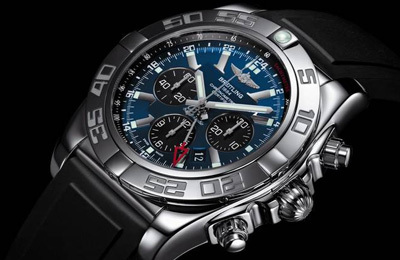 A big chronograph from Breitling for those members with the bigger wrist size. 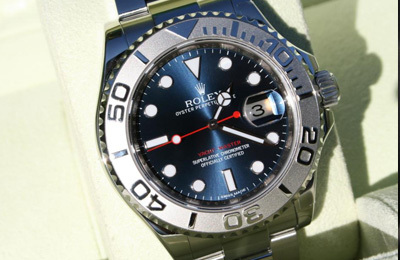 Stunning blue dial with a red tipped GMT hand and an engraved bezel make this a sure bet.. 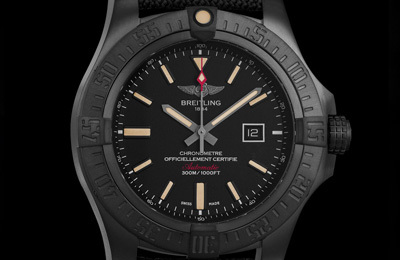 When people think Breitling, this is usually the model they think of. 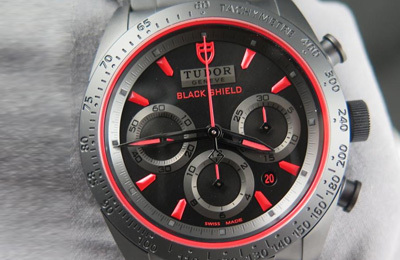 A stunning watch that can be used for many tasks. 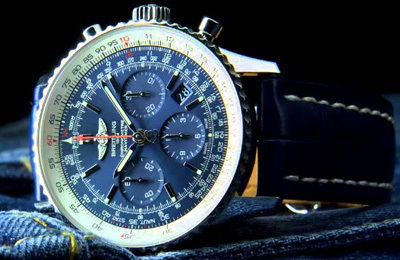 A gorgeous chronograph from Breitling with a classic blue dial that gets everything just right. A gorgeous diver with a blue theme. A gorgeous diver with a yellow theme. A gorgeous diver with a red theme. 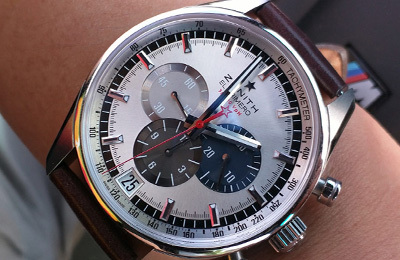 A very nice chronograph with a beige dial and red accents. 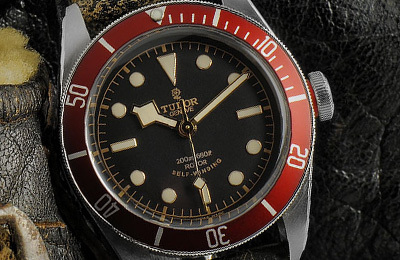 A beautiful anthracite dial and a red accented seconds hand makes this a winner in anyone's book. 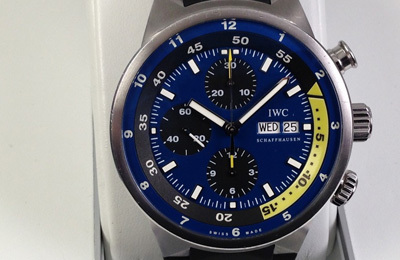 A beautiful world timer with a blue dial and yellow accents and an internal bezel. 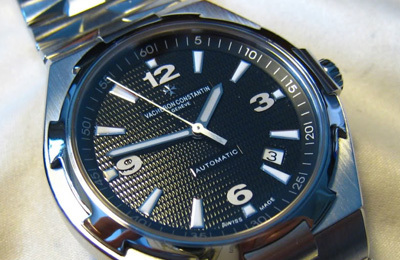 A stunning stainless steel watch with a blue dial and a timeless look. 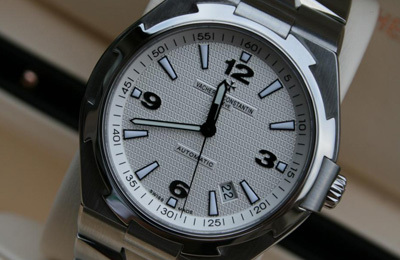 An amazing stainless steel watch with a unique textured dial and an engraved case for a timeless look. 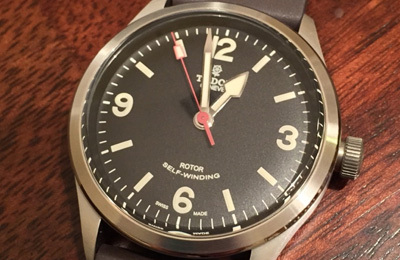 A very nice watch with day, date and a power reserve on the dial. This watch is everything that CFB has stood for since 1888. 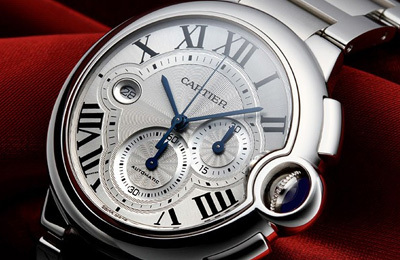 A classy automatic from Cartier. 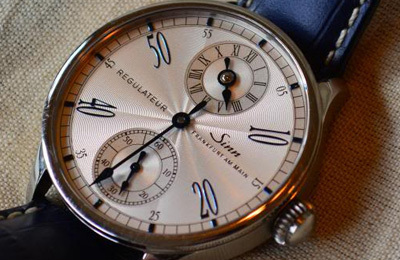 White dial, blue hands and black numerals...a classic dress watch with a touch of sport. 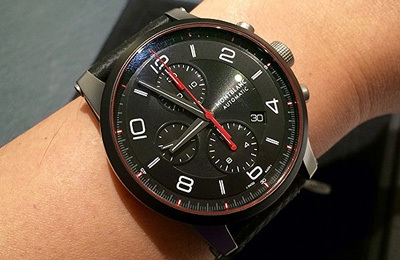 At 44mm this is undoubtfully the men's version of the watch. 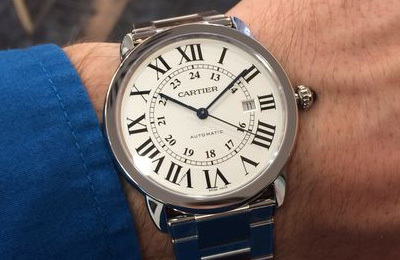 Just like all Cartiers, this is an elegant watch that adds a touch of class to your wrist. .
A classy Cartier with an easy to read dial and sporty case. 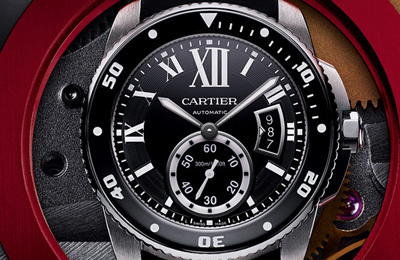 A sporty Cartier gentleman's Diver in black. 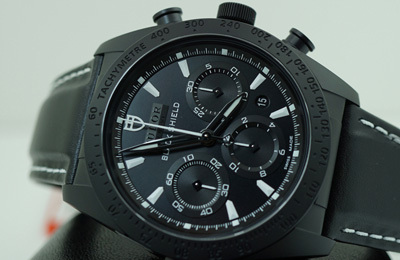 This is a compact chronograph at just 38mm. 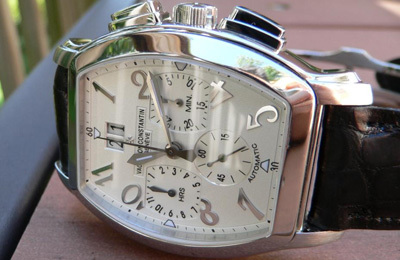 It has a unique crown and pushers and a silver guilloche dial. 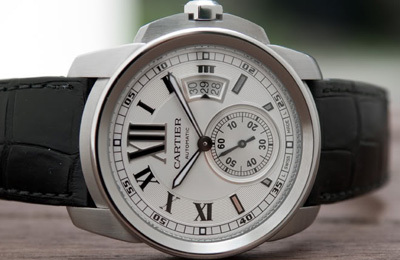 A very nice chronograph from Cartier. The great things about the roadster, is that you can swap out the strap/bracelet without needing to use any tools. 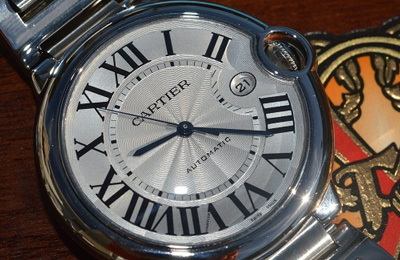 A simple Cartier with an automatic movement. This is the supersized version of the Ronde. The bigger size at 42mm adds it a hint of sportiness not found in the 36mm version. 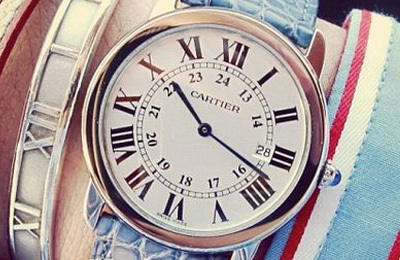 This is one of the most popular Cartier models. 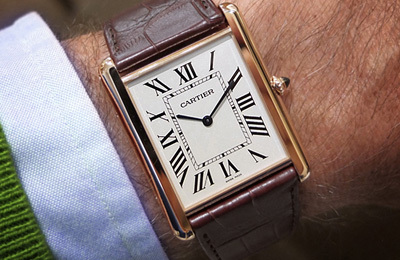 Its the iconic design that everyone thinks of when they think Cartier. 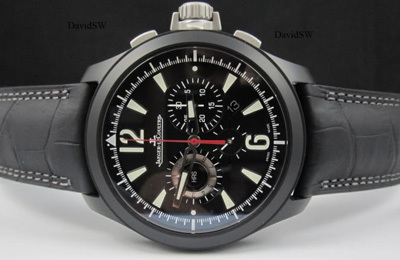 This is the Santos with a black dlc case and a black dial. 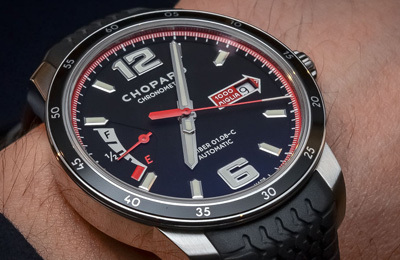 The red seconds hand adds a touch of contrast to the dial. 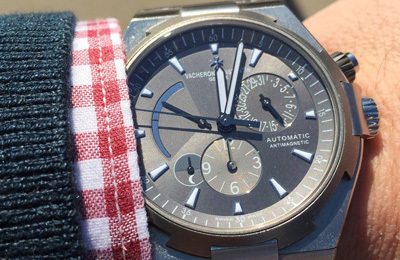 The tank is a stylish dress watch. This is the rose gold version that adds that extra touch of class to an already classy watch. 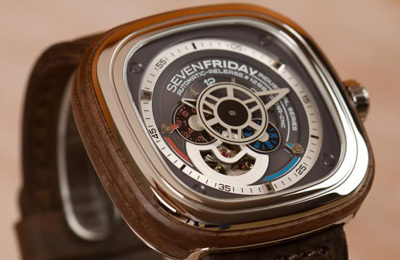 This is an amazing looking watch that pays a ton of attention to detail. Perfect watch for the drivers among you. 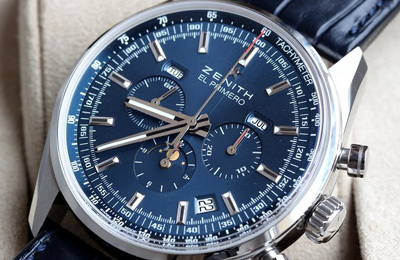 A great GMT chronograph that pays extra attention to the details. 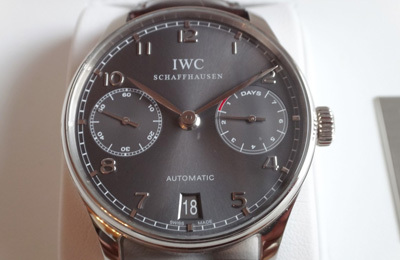 This is a nice automatic with a power reserve featured prominently on the dial. 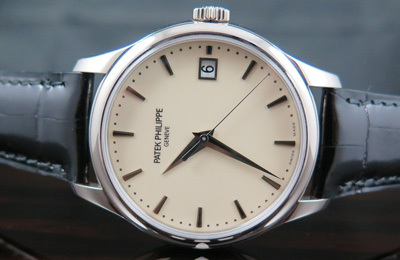 This is a nice automatic with a white dial and a power reserve featured prominently on the dial. 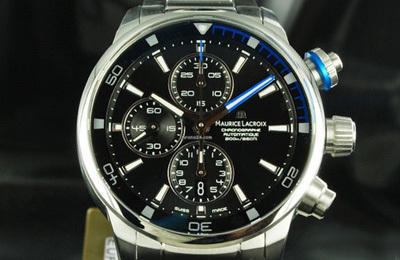 This is a top of the line automatic that will catch anyone's attention when it's on your wrist. Unlike the massive 48mm Corums that everyone is familiar with, this version is only 42mm, making it a watch that everyone can wear. 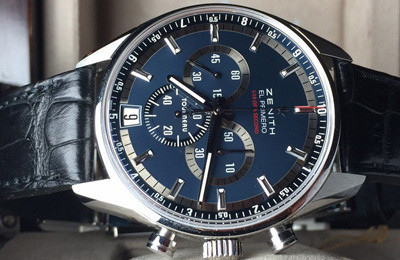 A unique looking chronograph from a boutique watch manufacturer. A futuristic looking watch that takes your wrist to the future. Franck Muller watches aren't just watches, they are works of art, and this Conquistador is no different. 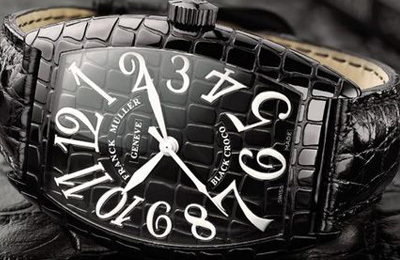 Franck Muller watches aren't just watches, they are works of art. 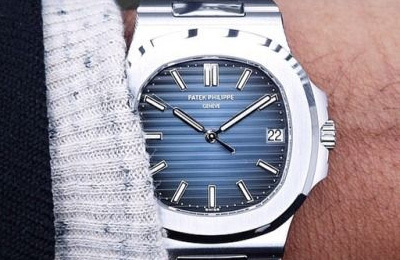 There is a reason he gets called the Master of Complications and this watch is no different. This version features a complication to the movement that makes the hour hand jump across the dial every hour. 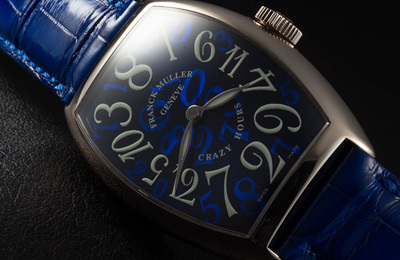 Franck Muller watches aren't just watches, they are works of art. The black croco is designed to resemble the skin of a crocodile. 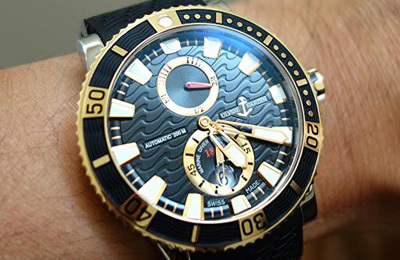 It's an amazing watch and a must try for every member. 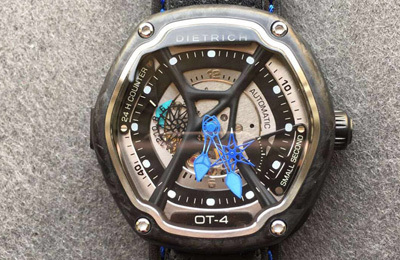 These watches aren't just watches, they are works of art. 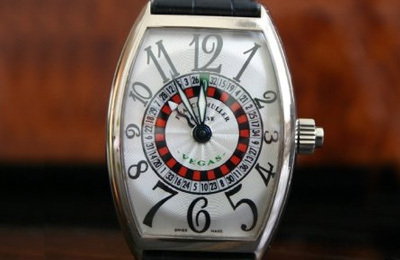 With the Vegas you get the roulette complication on the watch. Just hit the button on the crown to make it spin. A perfect distraction for any occasion that will vow everyone around. 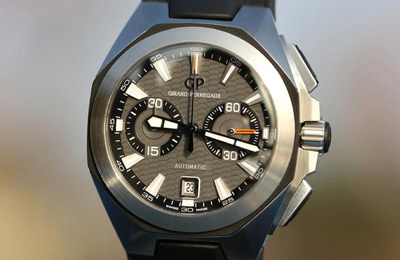 A nice 44mm Chronograph from Girard-Perregaux. 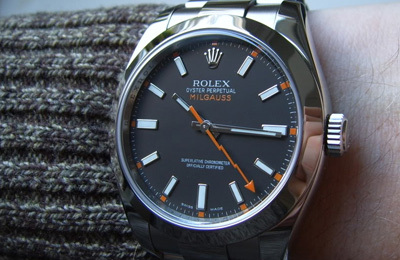 Anthracite dial with orange accents. A stunner for any wrist. 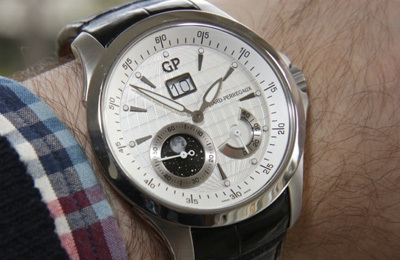 A nice 44mm moonphase watch with a white dial and a power reserve from Girard-Perregaux. 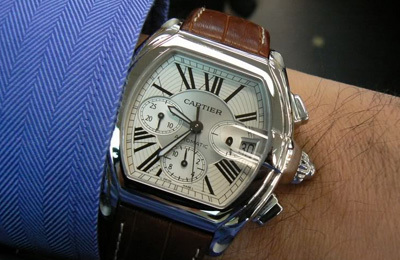 And this is one of the few big date watches where it's designed to look like a single date. 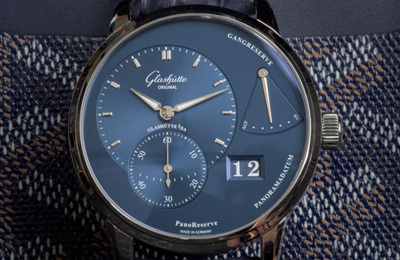 A stunning Glashutte in blue with a prominent power reserve. Truly an amazing piece, that will get everyone talking. 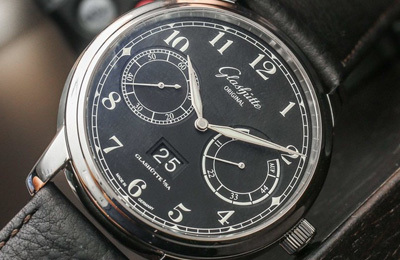 A classy Glashutte that calls back to a simpler time. A vintage look in a modern watch. 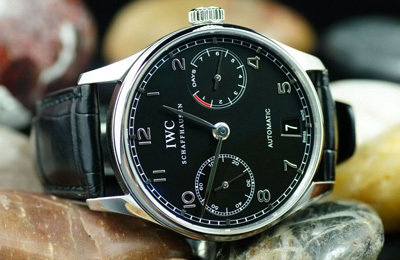 A classy dress watch for that elegant look. 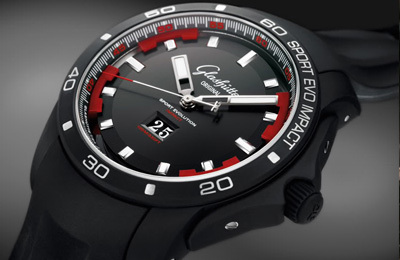 The sport evolution impact line from Glashutte is designed specifically for high impact sports. Its built specifically to withstand the extra stress of active sports. The Chronofighter is an iconic watch, there is no mistaking it's size or the prominent crown guard. 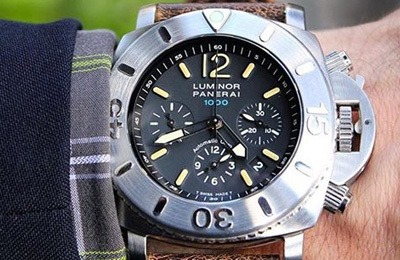 This is a great diver for those with bigger wrists. And the mechanical alarm is a great way to keep track of time. 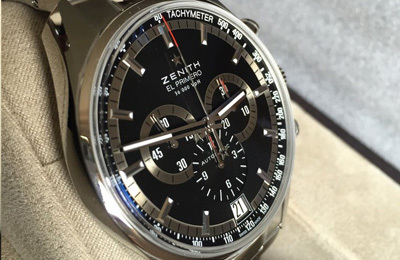 A great looking sporty 44mm chronograph. It was originally designed to look like a porthole. 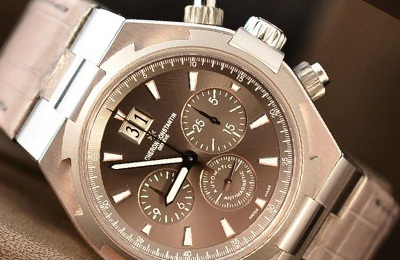 A great looking sporty 44mm chronograph that adds a touch of class thanks to the rose gold case and accents. 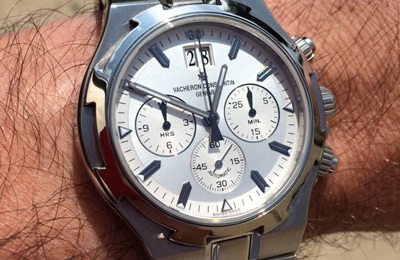 A great looking sporty 44mm chronograph. It was originally designed to look like a porthole. 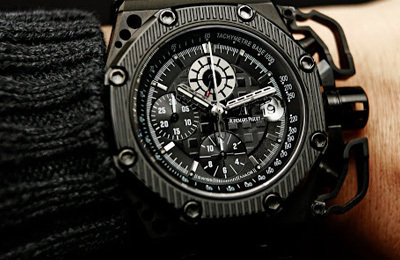 The Aero Bang is the skeletonized version of the Big Bang. 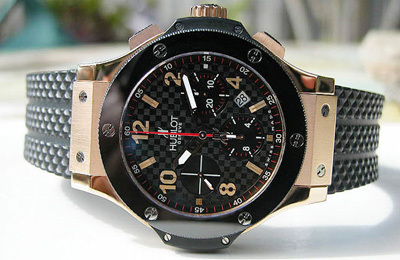 Hublot is a new comer to the luxury watch game, yet they were able to take the world by storm thanks to their unique design. This watch is nothing but sporty, with it's ceramic bezel and a carbon fiber dial...a must wear for any car enthusiast among you. A great upgrade to the traditional Big Bang and it comes with the Unico movement, finally bringing the entire watch in-house. 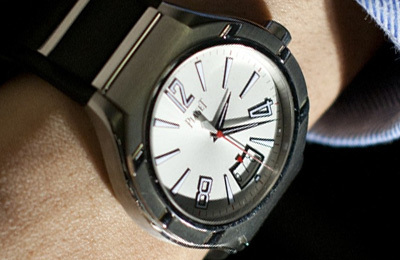 A unique looking watch with a polished white ceramic case, bezel and dial. 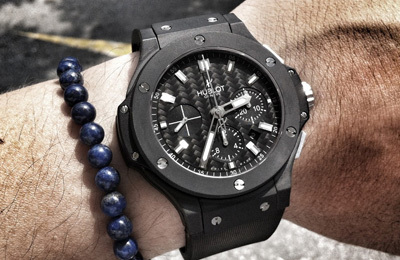 A super diver from Hublot designed to go all the way down to 4000 meters. 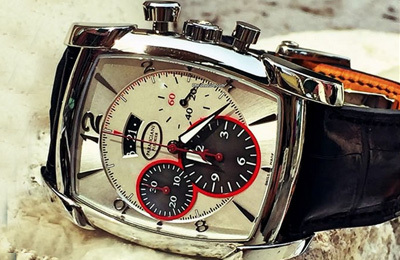 A massive chronograph with red accents and ceramic case. 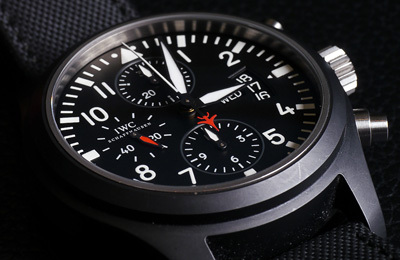 A stunning diver from IWC. 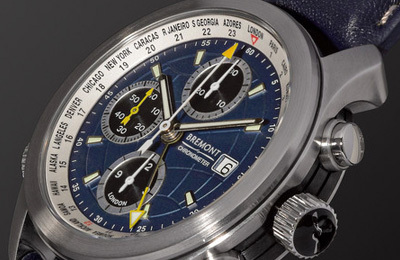 A limited edition chronograph with a blue dial and yellow accent. 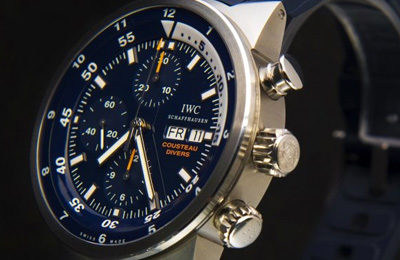 A stunning diver from IWC. 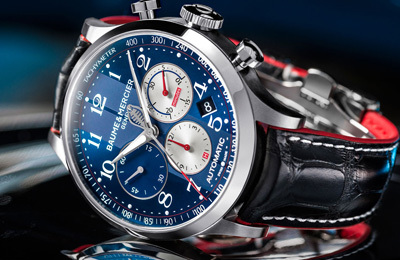 A limited edition chronograph with a blue dial and white accent. 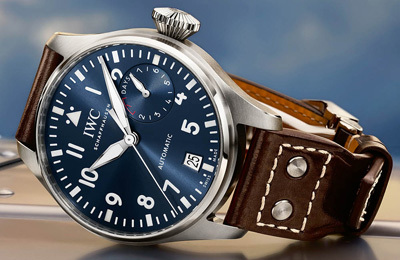 A classic IWC automatic watch with a power reserve and easily readable dial. 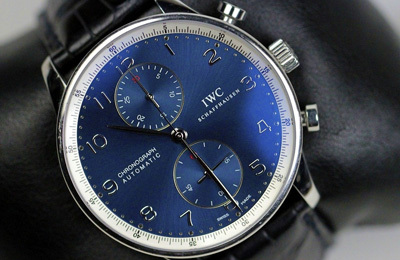 A classic IWC automatic with the limited edition Laureus blue dial. 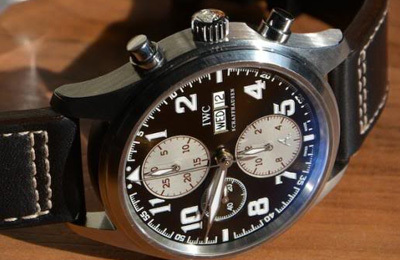 Relive the glory days of Maverick and Goose with this IWC Top Gun chronograph. 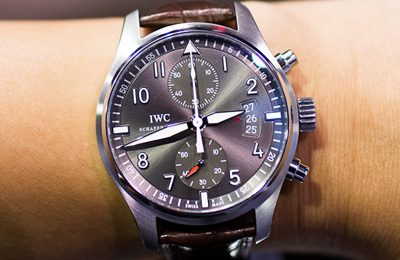 Spitfire sports one of the best dials for the IWC and the ardoise color really takes things to the next level. 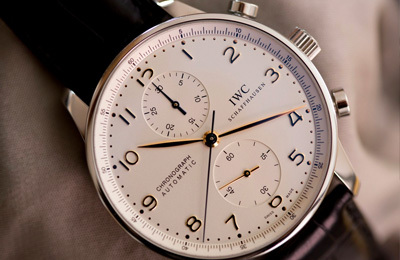 The classic IWC look, in a smaller 42mm size with the day of the week. This is a limited edition in honor of Antoine de Saint Exupery. 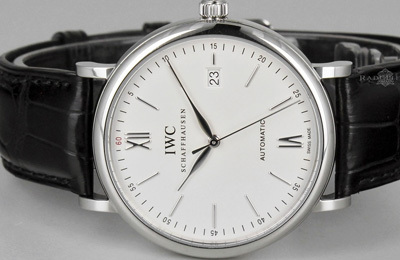 A dressy IWC watch for that simple elegant style. 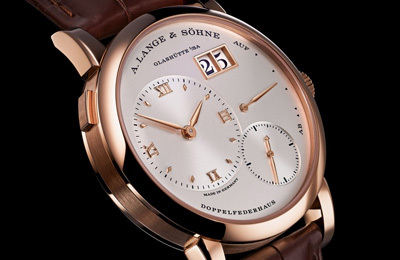 An elegant dressy watch with an easy to read white dial and rose gold numbers. 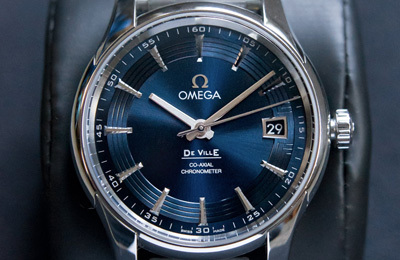 An elegant dressy watch with an easy to read blue dial and silver numbers. 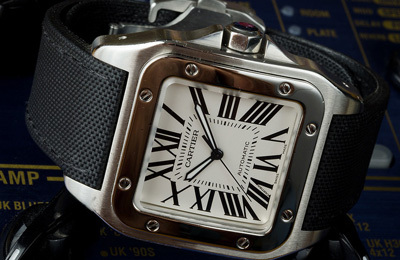 An elegant dressy watch with an easy to read black dial and silver numbers. 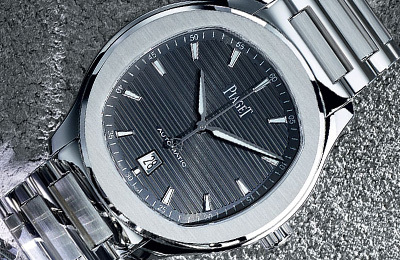 An elegant dressy watch with an easy to read ardoise dial and silver numbers. 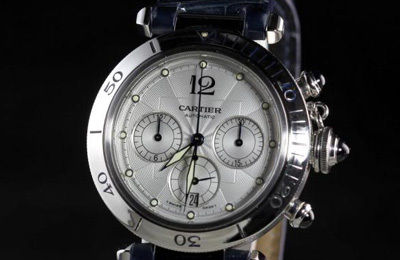 An elegant diver chronograph. It also has a unique feature. You may have noticed the white disc under the brand logo. 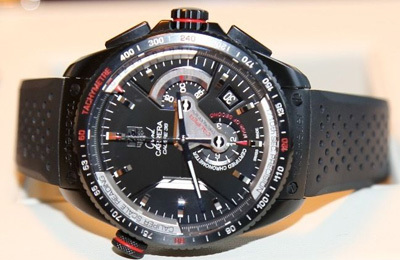 That disc turns red when the chronograph is running. This is a very unique watch. It actually comes with two sides(a black dial and a white dial), all you have to do is flip it and you get to experience an all new watch. 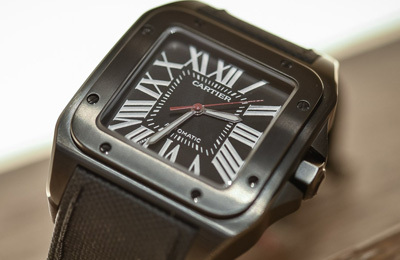 At just 7.2mm thick, this is one of the best options if you like thin watches. 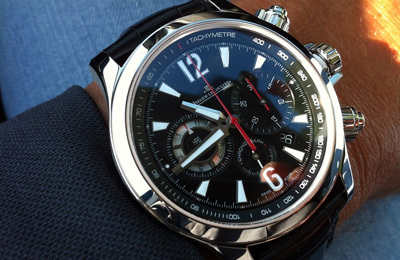 A very nice looking chronograph from JLC with red accents. 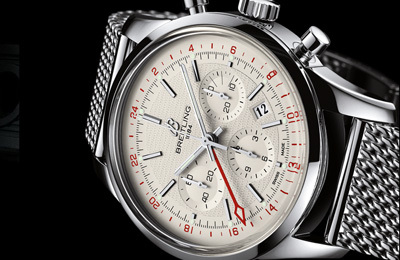 A classic chronograph look with a modern ceramic case and a red chrono hand. 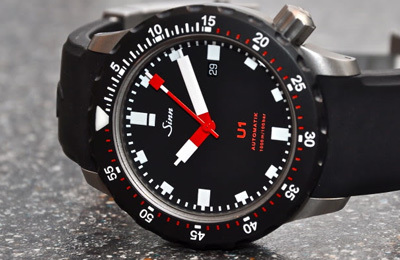 This is a stunning diver with an alarm function and an easy to read dial. This an amazing diver, . 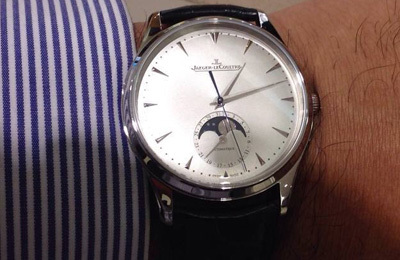 This is ultra thin dress watch with a moon phase...perfect for those days when you need to dress up. This is a rare watch. 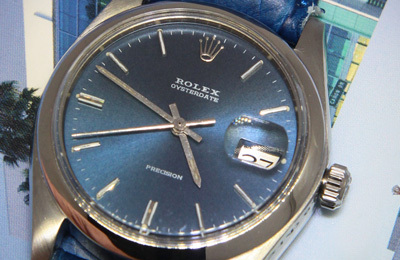 Blue dial, and unlike a lot of Grand Secondes, this one also has the extra complication to display the date. 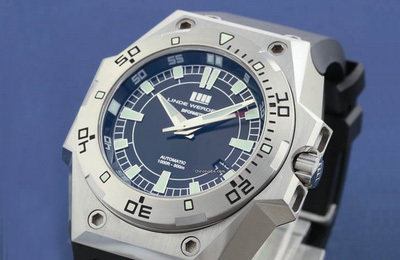 This is the classical Linde Werdelin diver with a GMT complication. 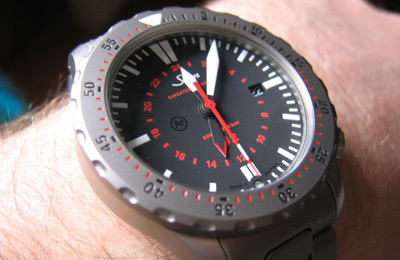 A unique looking diver with a laser cut stenciled octopus on the dial. Just like most Linde Werdelins this one features a unique textured case with an easy to read dial. The DLC finish takes the watch to the next level. 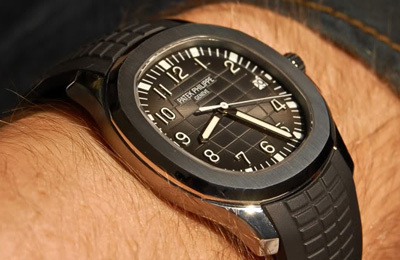 This watch features an amazing titanium case and a gray dial. 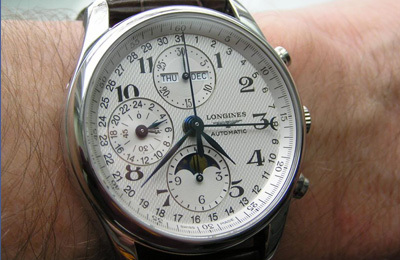 A classic moonphase chronograph from Longines with the day/date/month complication. 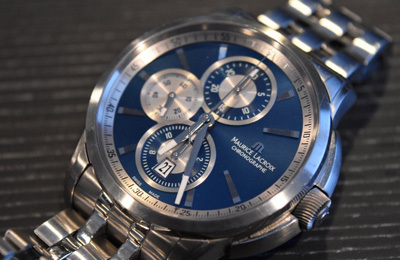 A classic chronograph with a blue dial. The more sporty and modern version of the regular Pontos. 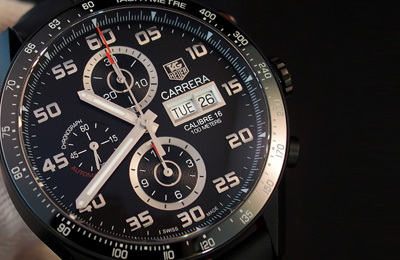 This particular watch helps you see the current time in a number of locations in the world. 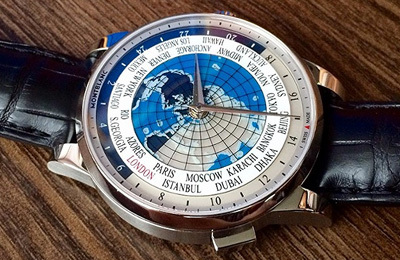 The dial also has an eye catching world map on it. 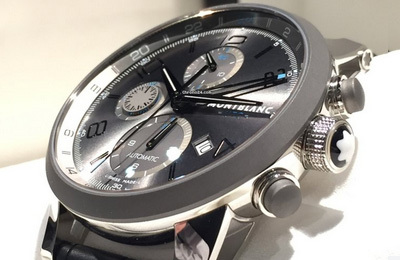 The Montblanc chronograph is an amazing looking watch. This version has a ceramic bezel with red accents. A simple bauhaus style watch that's both dressy and sporty. 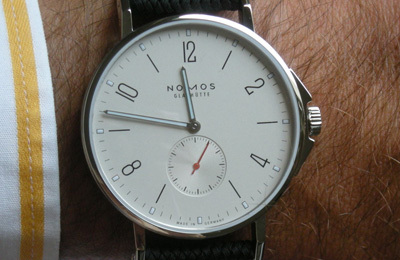 A simple bauhaus style watch with an easy to read dial. 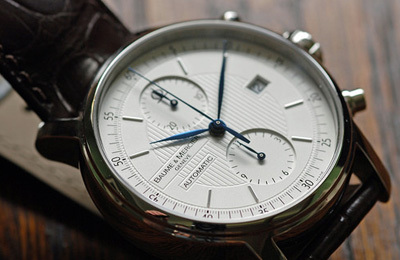 A stunning bauhaus watch, white gold with a blue dial, and just 8.9mm thick. 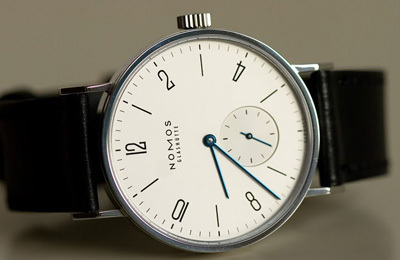 A simple bauhaus watch, with a white dial and blue hands. 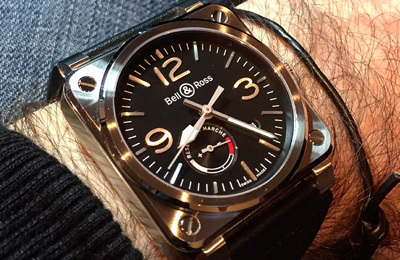 A simple bauhaus watch, with a ruthenium plated black dial. 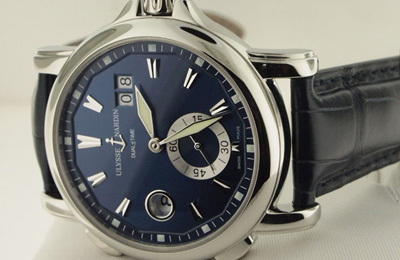 A stunning dress watch with a rare white dial/blue markers combo and a coin edge dial. 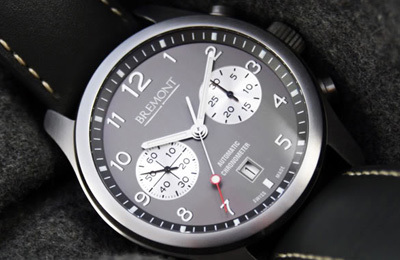 An advanced chronoscope with a GMT function. 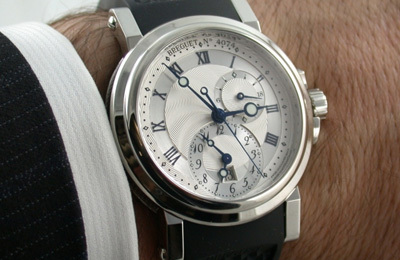 A classy easy to read dial in blue with silver hands. 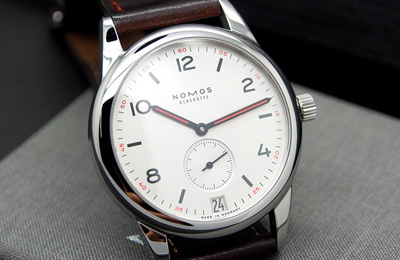 A classy easy to read dial in white. 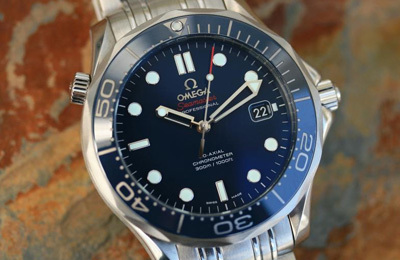 The classic Omega James Bond watch. A must wear for any watch enthusiast. 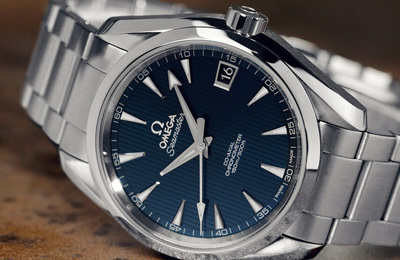 The more elegant version of the Seamaster with a blue dial. 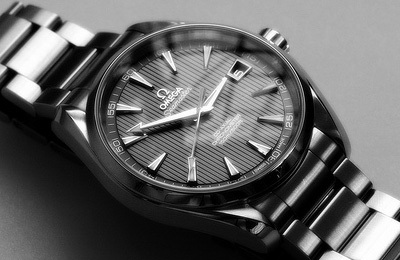 The more elegant version of the Seamaster with a gray dial. 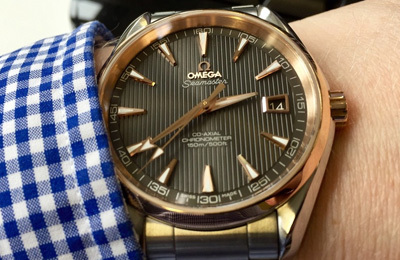 Take the Aqua Terra to the next level with a stunning brown dial and a rose gold case. 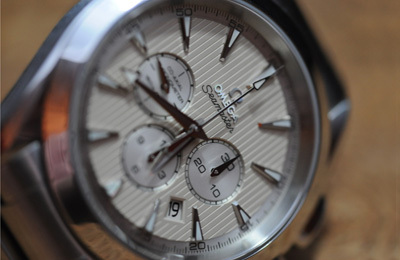 This chronograph sits at 44mm, which lets you experience the Aqua Terra style with a bigger case. 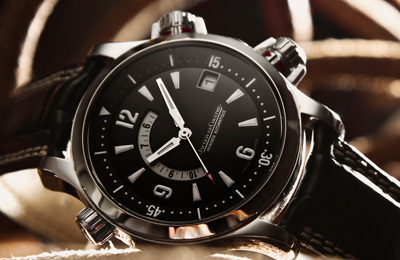 A great diver, perfect for any occasion. 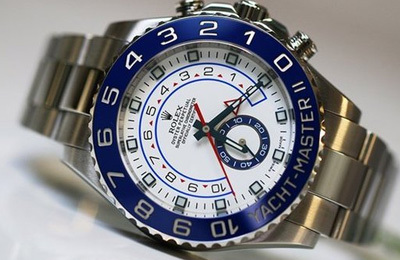 This watch is at home both in the boardroom and on the beach. A very nice diver. Please note that this is the 45mm version. 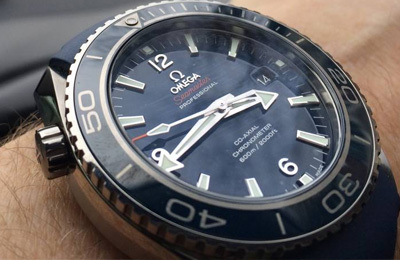 A super diver from Omega. Designed to go down to 4000 feet. This is the original moon watch, perfectly capable of being both sporty and professional. 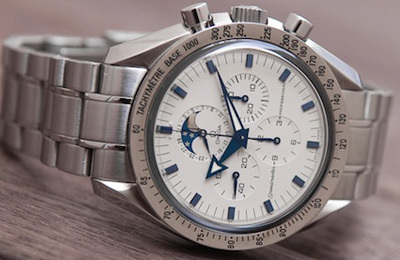 This is the broad arrow moonphase Speedmaster. Easily recognizable on your wrist thanks to the unique hands. 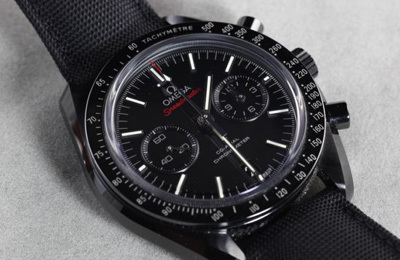 Omega Speedmaster Dark Side of the Moon. This is the updated modern version of the original moonwatch. 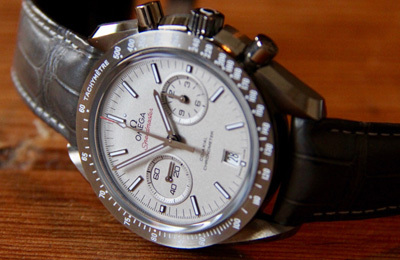 Omega Speedmaster Gray Side of the Moon. This is the updated modern version of the original moonwatch. 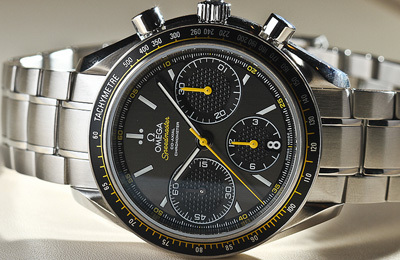 An iconic time piece from Omega with yellow accents. 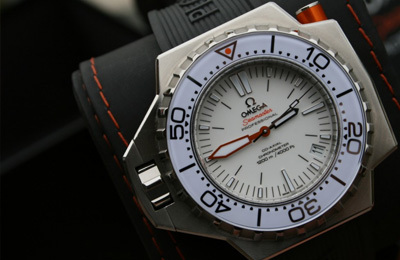 An iconic time piece from Omega with orange accents. 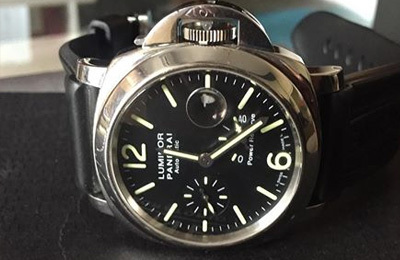 This is the 40mm version of the popular Luminor. 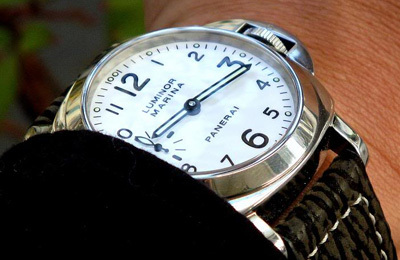 The classic Luminor Marina with a painted on dial numbers and logo. 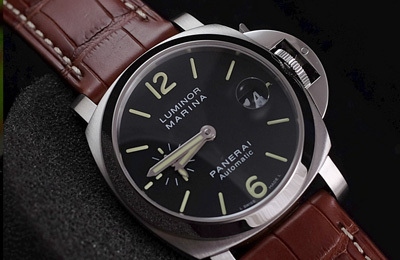 The classic Luminor Marina with a painted on dial numbers and logo with a power reserve.. This watch was designed for the arctic expedition, part of the upgrade was a compass engraving on the case and thicker crystal(4.2mm) to help it withstand the cold. 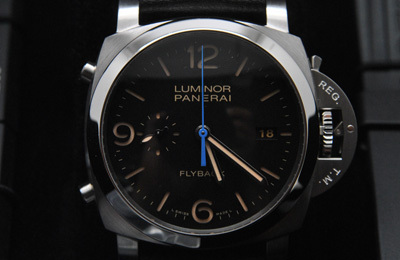 This is the 44mm version of the popular Luminor with the date. 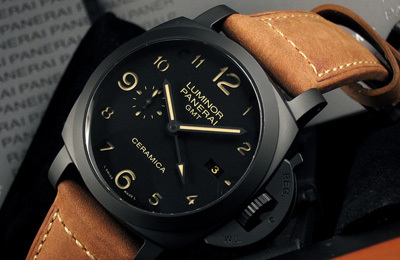 This is a classic Panerai. 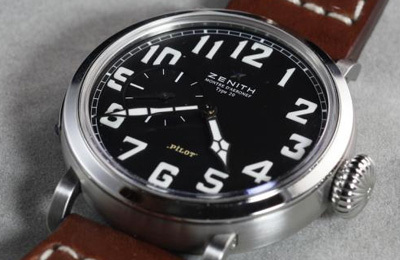 It's a 44mm watch that really brings attention to your wrist. 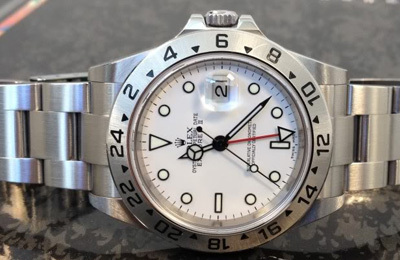 The crown guard really helps tell everyone who looks that the watch is special and the sandwich dial is a simple yet classy feature that separates it from the other watches on the market today. And like most PAMs, it has a very easy strap changing mechanism. 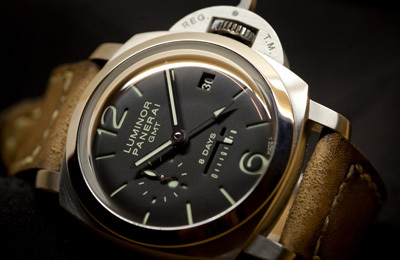 This is the same watch as the PAM111 but with a white dial. 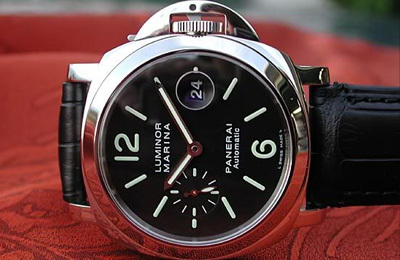 This is a very rare Panerai, since it's one of the few versions that comes with a blue dial. 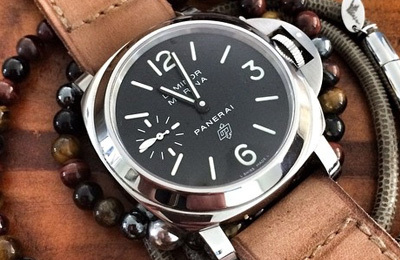 This is the same watch as the PAM111 but with a titanium case. 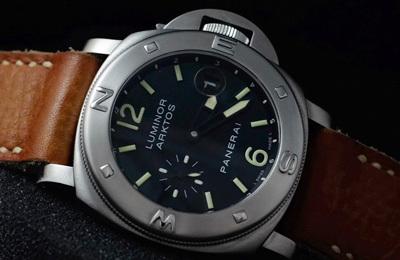 A diver chronograph from Panerai. You are going to need a lot of wrist to pull this one off. 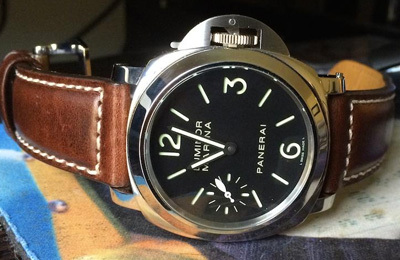 This is a unique Panerai, in that it has am/pm functionality(which you can see by the seconds hand). This is a 44mm Luminor that comes with a ceramic dial. 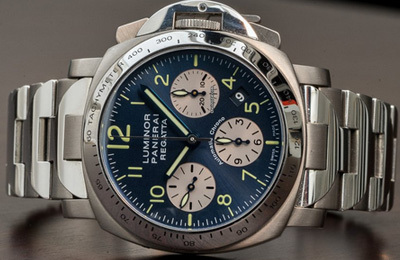 This is a 44mm Luminor with a Chronograph Flyback complication. 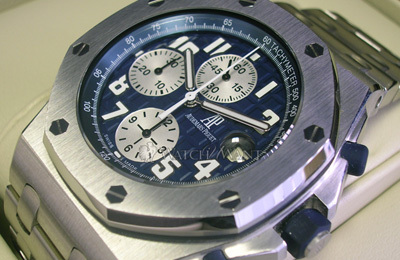 It comes with a very unique blue chrono seconds hand that helps it stand out from all other PAMs. 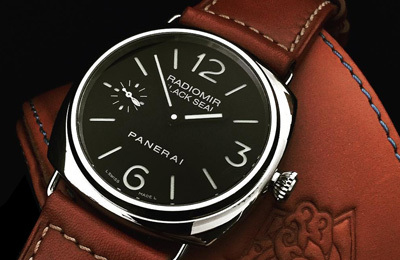 A classic Radiomir with the alarm complication..
A classic Radiomir Black Seal, the Panerai's take on the dress watch. 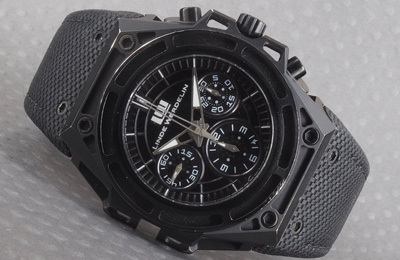 This is the same watch as the regular Black Seal, only with a ceramic case.. 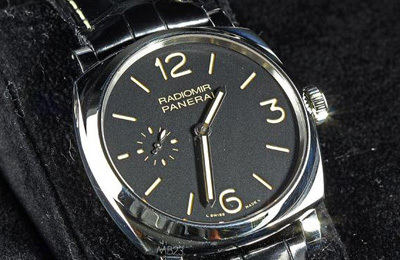 This is the 47mm version of a Radiomir and it comes with the California dial. 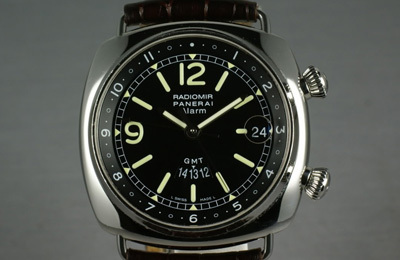 This is the 42mm version of a Radiomir. 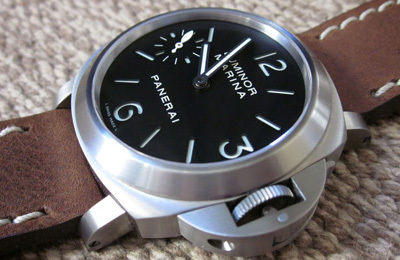 If you are looking for a Panerai dress watch, this is the one to get. 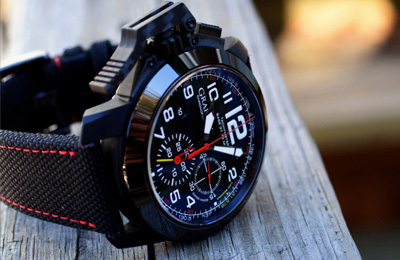 An amazing looking watch with a GMT function. 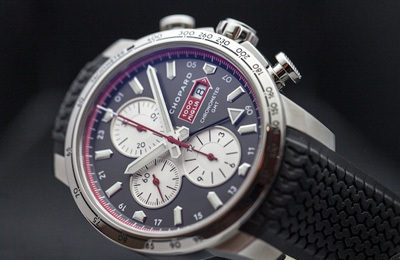 A unique chronograph from a top tier brand. 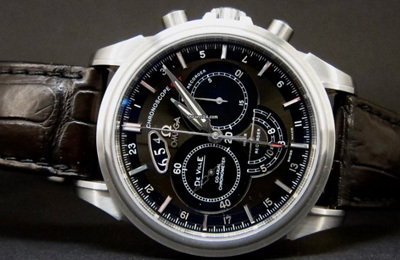 A panda style chronograph with an easy to read dial. 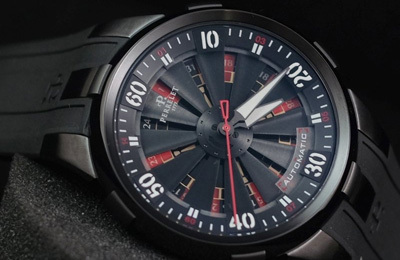 This is an amazing looking watch from a very unique brand. 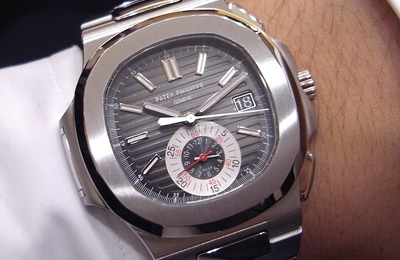 A classic diver from Patek, the dial is masterfully engraved and features gold numerals. 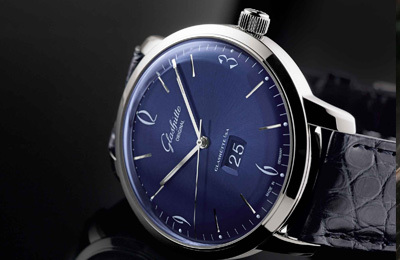 This watch needs no introduction...this is THE dress watch. The top of the line that will put every other wrist in the room to shame. This is the grand daddy of them all. Subdued classic luxury that only the true connoisseur will recognize. 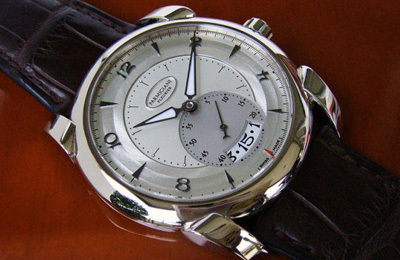 This is the grand daddy of them all, this particular version comes in gray dial and features a chronograph. This is the grand daddy of them all. 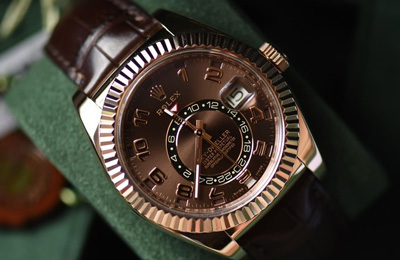 The rose gold takes this watch truly to the next level. 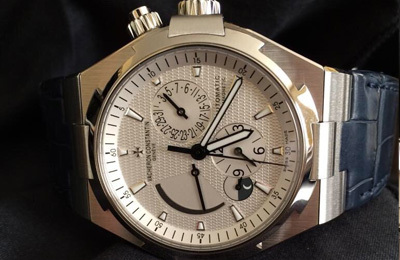 This watch also features a moon phase and power reserve complications. 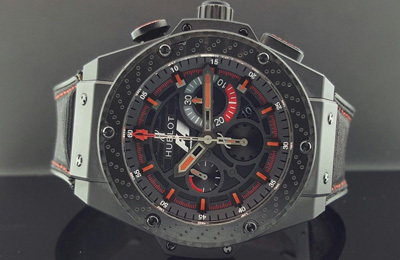 This is a very fun watch, because it has an interesting feature...it has a turbine inside the dial that actually spins. 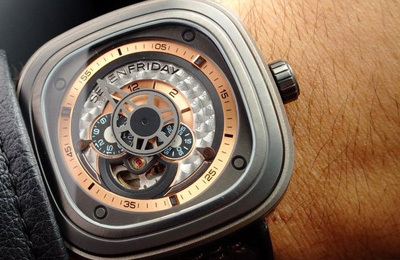 This is a massive watch with an interesting feature...it has a turbine inside the dial that actually spins. 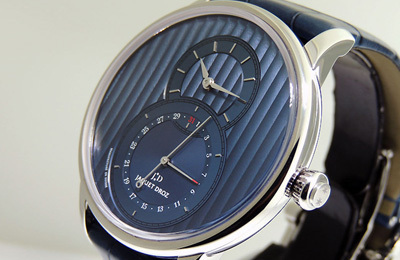 This is one of the thinnest automatic watches in the world(only 5.25mm). A sure conversation starter anywhere you go. 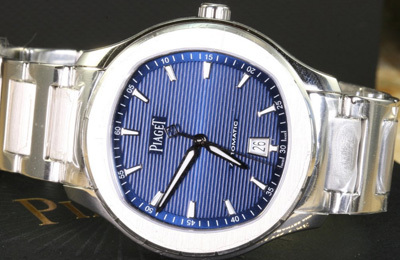 This is a very nice watch with a blue dial from Piaget that borrows a lot of styling ideas from the Patek Nautilius line. 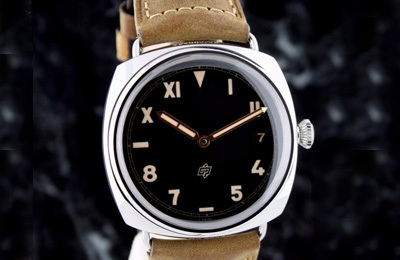 This is a very nice watch with a black dial from Piaget that borrows a lot of styling ideas from the Patek Nautilius line. 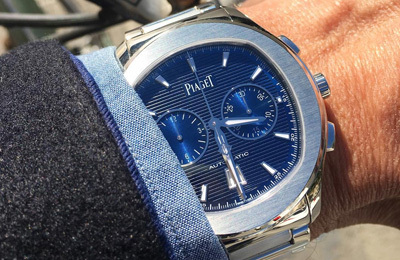 This is a very nice chronograph with a blue dial from Piaget that borrows a lot of styling ideas from the Patek Nautilius line. 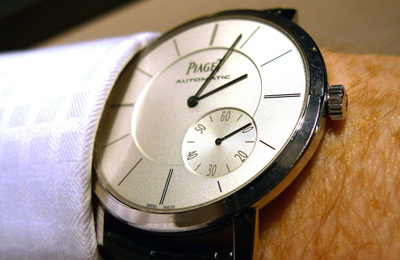 This is a very nice automatic from Piaget. At 45mm it has a real presence on your wrist. 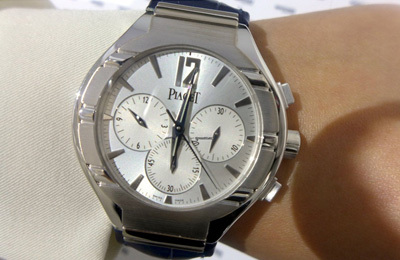 This is a very nice chronograph with a silver dial from Piaget. 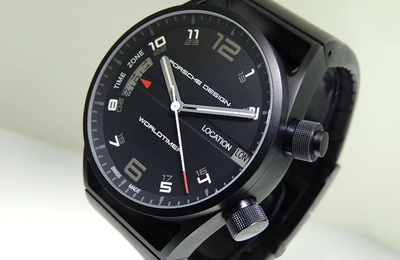 A nicely designed worldtimer from Porsche Design. 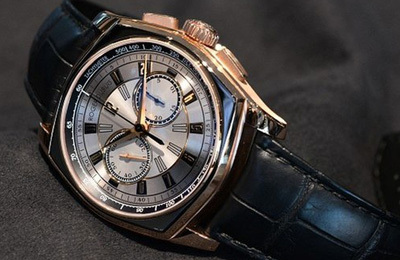 A nice looking chronograph from Roger Dubuis. 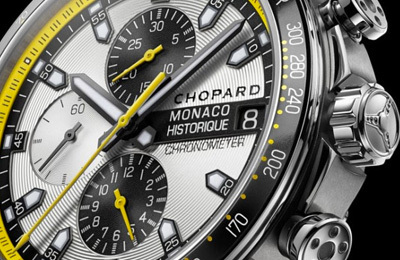 A stunning chronograph that'll make anyone stare. 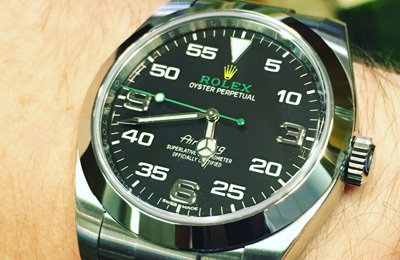 The Air King comes with an easy to read dial and classic Rolex green accents. . 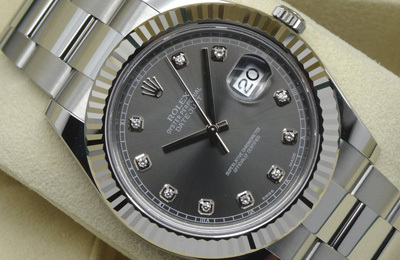 This is a Datejust with a black dial and stick hour markers. 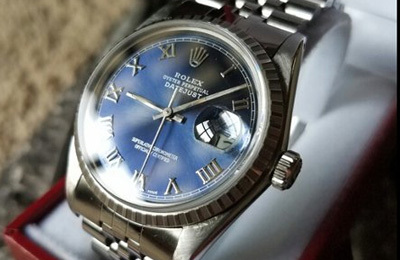 This is a vintage Datejust with a blue dial and roman numeral hour markers. 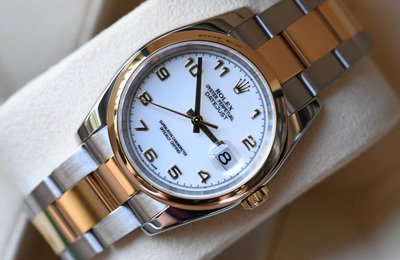 A classic Datejust in an elegant white/gold combo with arabic numerals. 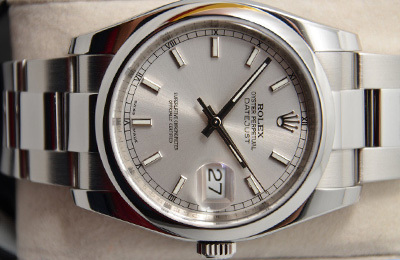 This is a Datejust with a silver dial and stick hour markers. 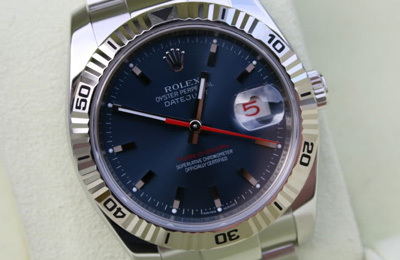 This is a Datejust with a blue dial and roman numeral hour markers and a red date wheel. 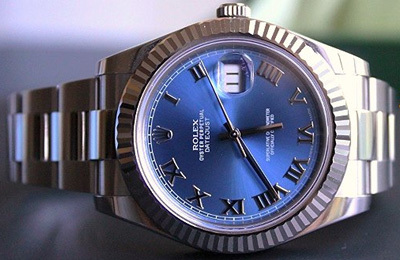 This is a Datejust with a blue dial and roman numeral hour markers. This is a Datejust Turn-O-Graph. 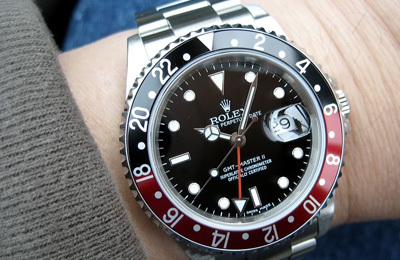 As you can see, it comes with a rotating bezel and a red date wheels. A classic. 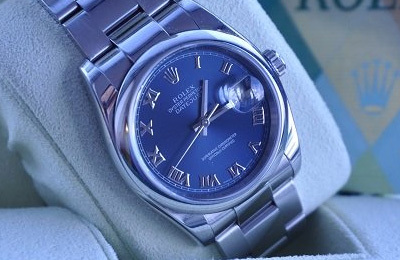 This is the simplest DateJust. A simple SS case. 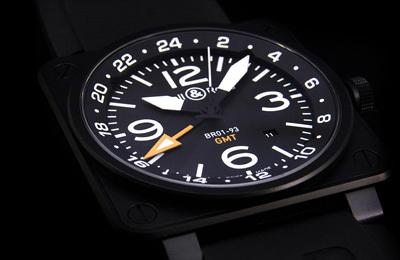 A simple black dial with simple white stick hour markers. A classic. 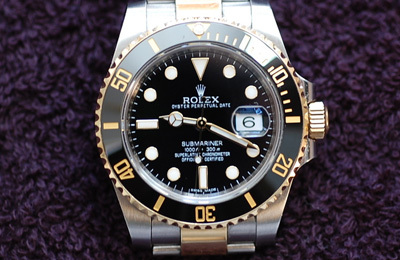 A classic Rolex with a gold coin edge case, black dial and arabic numerals. 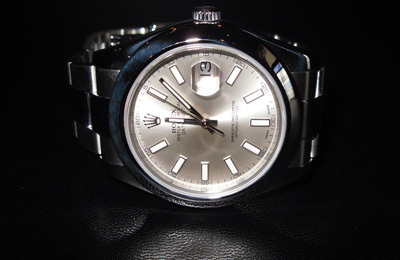 A classic Rolex with a white gold bezel and a rhodium arabic dial. 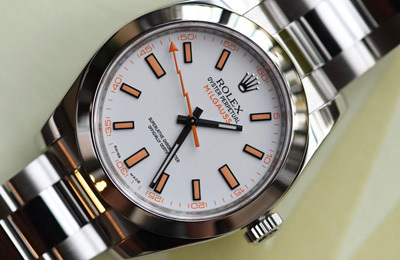 A classic Rolex with a silver dial and stick hour markers. 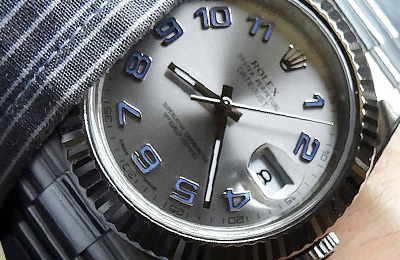 A classic Rolex with a rhodium dial and diamond hour markers. 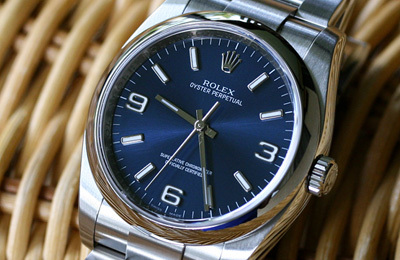 A classic Rolex with a white gold fluted bezel and a blue dial with roman numerals. 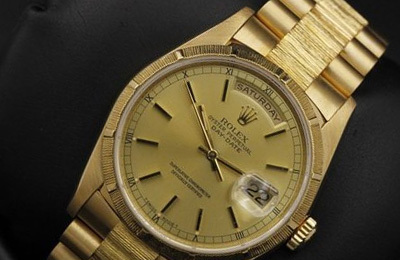 The ultimate Rolex dress watch, yellow gold with a unique bark finish and champagne stick dials. 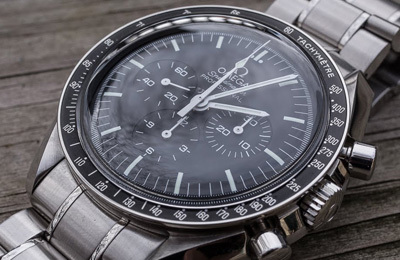 A classic Daytona with a stainless steel case and a black dial. 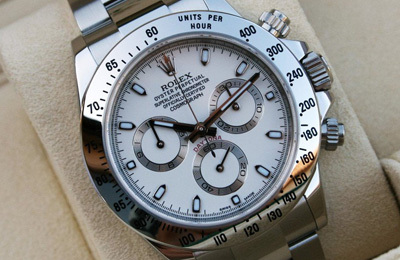 A classic Daytona with a stainless steel case and a white dial. 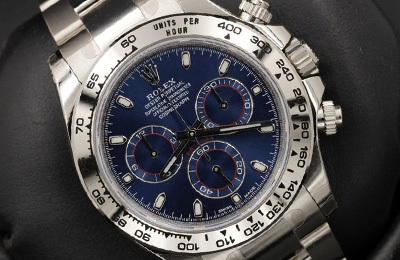 A truly unique Daytona with a stunning meteorite dial(sourced from the Gibeon Meteorite) with roman numeral markers. 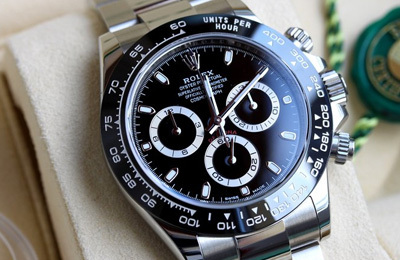 A classic Daytona with a stainless steel case, a ceramic bezel and a black dial. 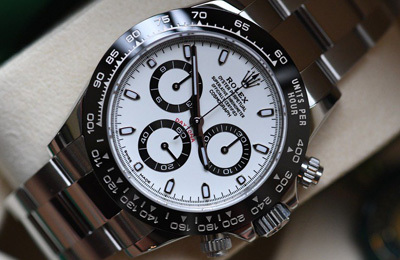 A classic Daytona with a stainless steel case, a ceramic bezel and a white dial. 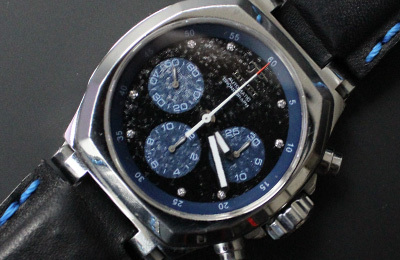 A rare Daytona with a blue dial and a stainless steel case. 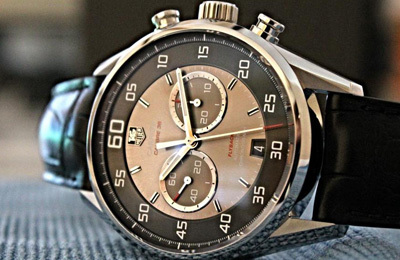 A classic Daytona with a gray racing dial and red accents...a perfect touch of sport and luxury. 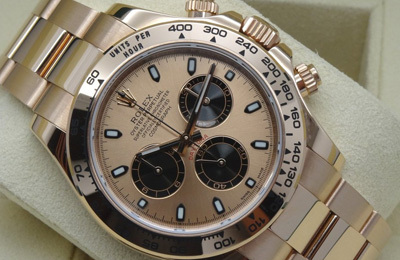 A stunning Daytona in Rose Gold. When you have this watch on, everyone you meet will know you've made it. 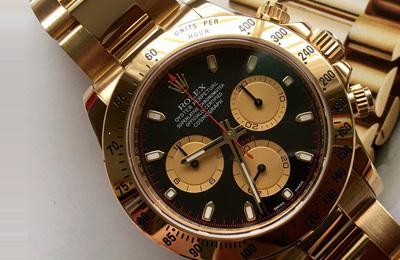 This is a stunning Daytona in Yellow Gold with a Paul Newman black dial...a truly unique piece that will tell everyone you meet that you've arrived. 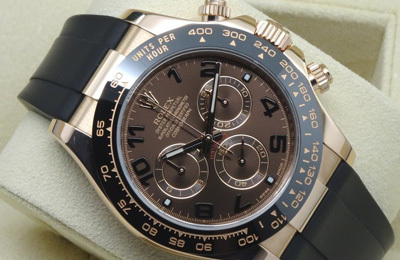 A stunning Daytona with a rare "chocolate" dial and arabic numerals. This is a deep diver. 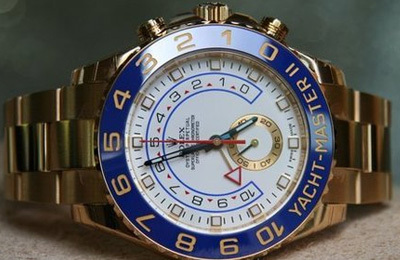 At 44mm this is the largest Rolex...which makes it a perfect watch for those of you with bigger wrists. 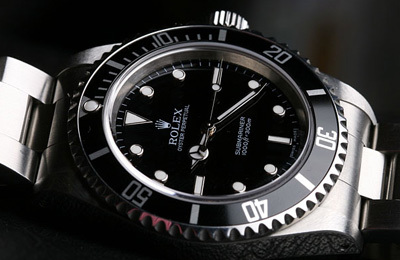 A nice elegant watch, that's different from the Submariner that are a dime a dozen. 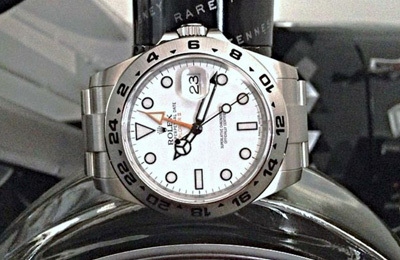 This is the newer version of the Rolex Explorer II. 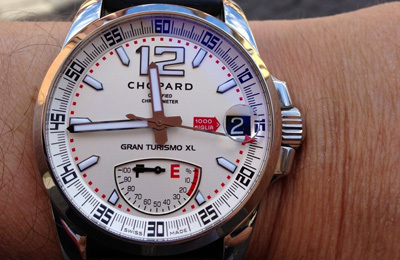 It's 42mm instead of the old 40mm, which helps set it apart from the GMT Master. 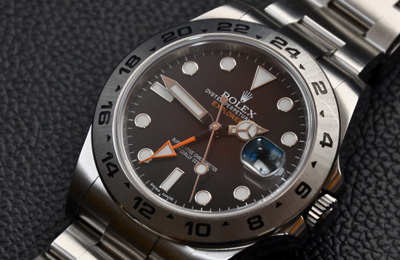 This is the older 40mm version of the Rolex Explorer II. 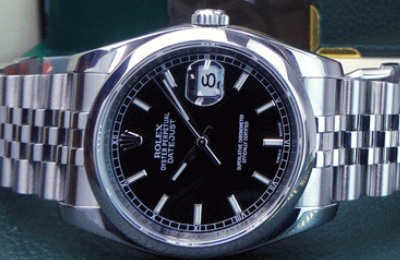 This is the newer version of the Rolex Explorer II. 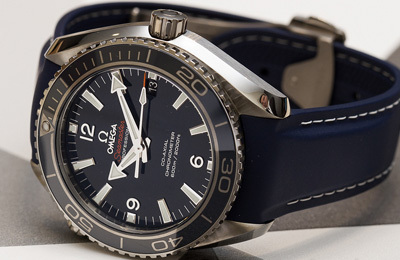 It's 42mm instead of the old 40mm, which helps set it apart from the GMT Master. The white dial also pops and adds a little bit of variety to your watch box. 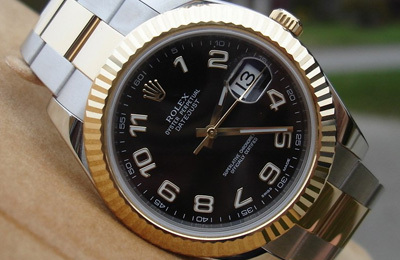 Rolex is a classic staple of any luxury watch collection. 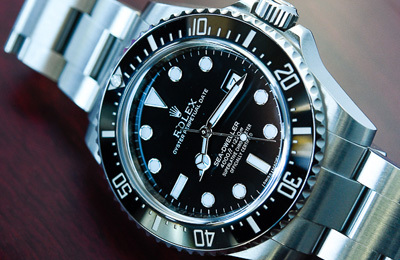 The GMT Master and the Submariner are some of the most popular watches Rolex sells. 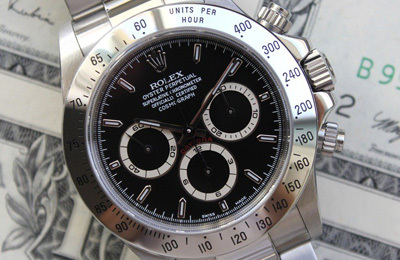 Rolex is a classic staple of any luxury watch collection. 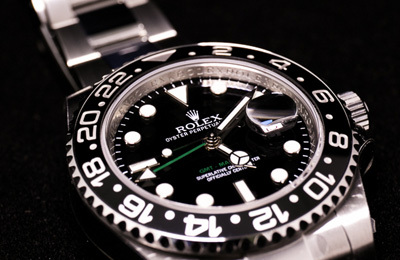 The GMT Master and the Submariner are some of the most popular watches Rolex sells. 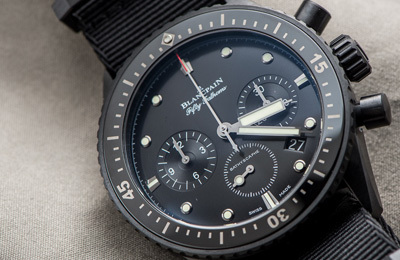 This is the BLNR "Batman" version. 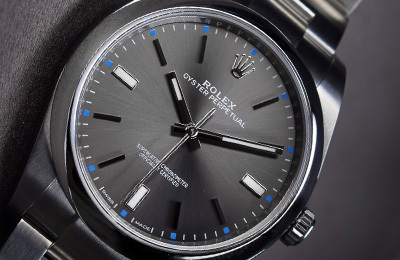 It has a unique blue theme to the dial and the GMT hand, which helps add a touch of modernity to a watch that has been otherwise unchanged for 40 years. 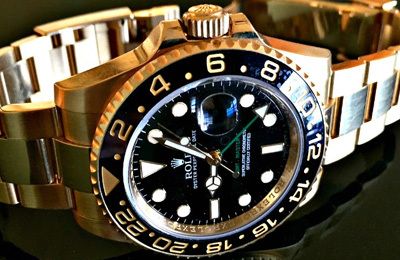 Rolex is a classic staple of any luxury watch collection. 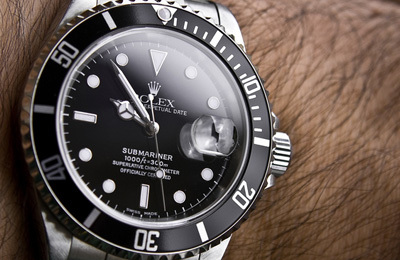 The GMT Master and the Submariner are some of the most popular watches Rolex sells. This is the "Coke" version. 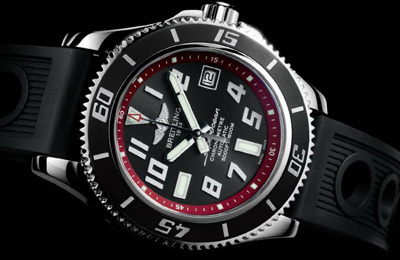 It has a unique red/black theme to the dial and the GMT hand, which helps add a touch of sportiness to the watch. 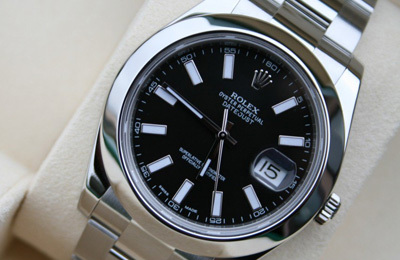 Rolex is a classic staple of any luxury watch collection. 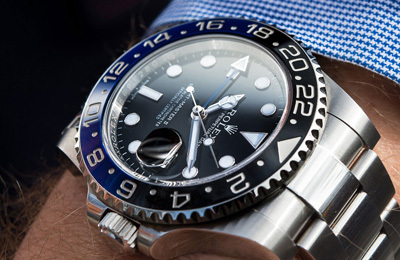 The GMT Master and the Submariner are some of the most popular watches Rolex sells. This is the "Pepsi" version. 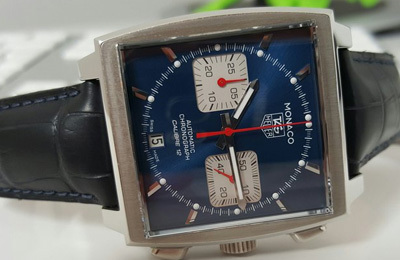 It has a unique blue/red theme to the dial and the GMT hand, which helps add a touch of sportiness to the watch. 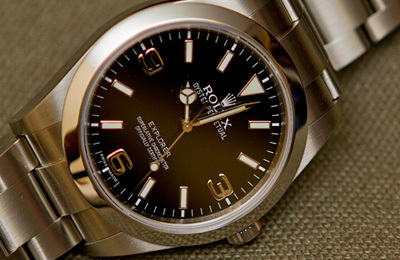 Rolex is a classic staple of any luxury watch collection. This version adds a touch of gold to take this watch to the next level. Perfect for anyone who needs to class things up a bit. 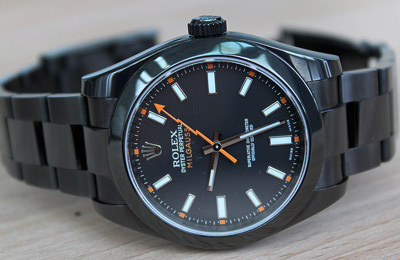 The Milgauss is a fun watch, because it has a special anti-magnetic design, not that you'll ever need to use it...but it's a fun feature to have. The Milgauss is a fun watch, because it has a special anti-magnetic design, not that you'll ever need to use it...but it's a fun feature to have. 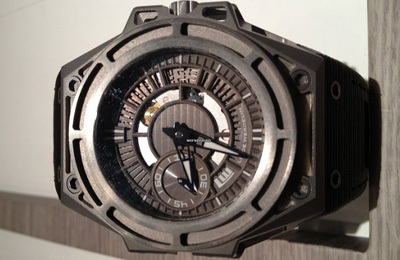 This one is specially coated with PVD for that black look. 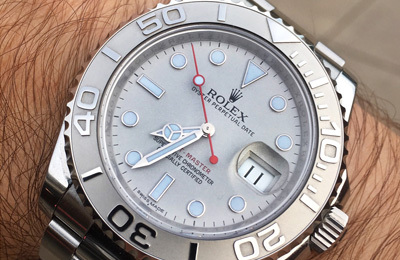 The oyster is the basic Rolex. It's a simple watch thats designed for elegance and a classic look. 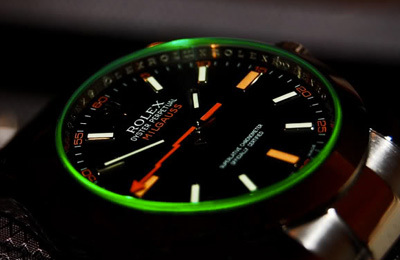 This a classic Rolex. Perfect for those craving that vintage look. It might look like a regular Submariner(minus the cyclops), but this watch is a true workhorse, capable of going 3000 feet deeper. The ultimate travel watch in the classic Rose Gold finish and a chocolate dial. The ultimate watch. 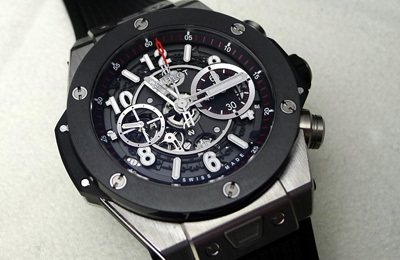 This is the one that sets the standard for luxury watches. The ultimate watch. 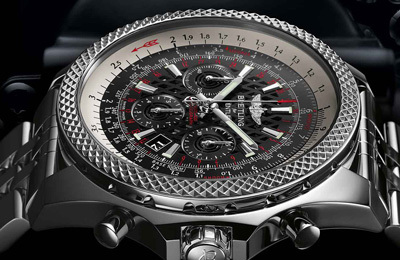 This is the one that sets the standard for luxury watches. The gold in this version takes it to an even higher level. The ultimate watch. 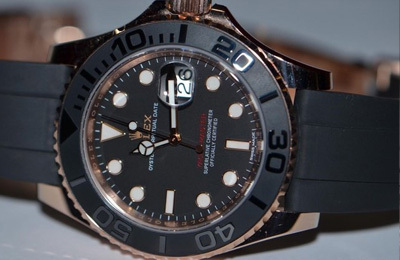 This is the one that sets the standard for luxury watches. 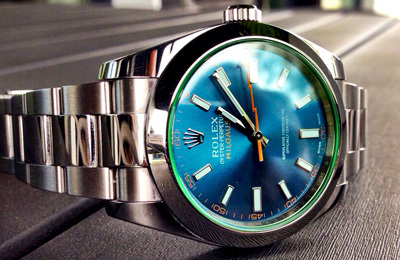 The white gold and the stunning blue dial really make this watch a wonder to behold. For those of you that need that extra little taste of oomph that the Submariner just doesn't deliver. 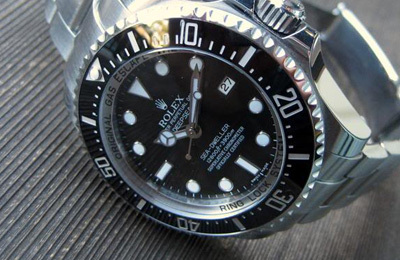 For those of you that need that extra little bit of oomph that the Submariner just doesn't deliver. 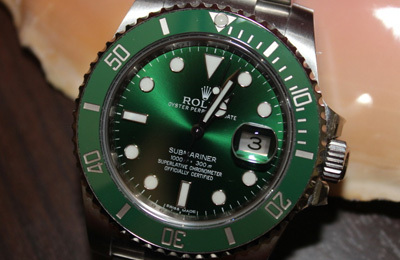 For those of you that need that extra little bit of oomph that the Submariner just doesn't deliver. Taken even further thanks to the rose gold case. A truly unique watch, you won't find this style from any other maker. A truly unique watch, you won't find this style from any other maker...supercharged to the max with 18K gold. This is a unique skeleton dial watch that gives you the option to be a little different. This is a fun unique watch...this special edition comes uses real wood and the red/blue adds a touch of color to really make the dial pop. 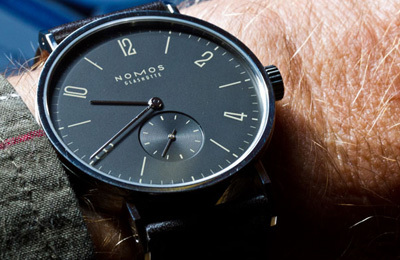 This is a stunning time piece that lets you easily time things to the second. This is a pretty special watch. These aren't made from stainless steel but instead are made from submarine steel, so they are a lot harder to scratch, and it's a unique piece of metal on your wrist. This is a pretty special watch. 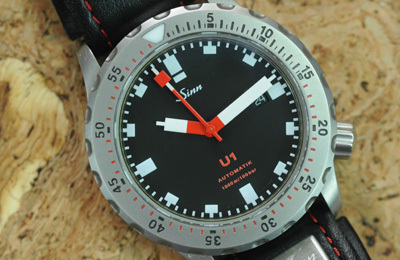 Made from submarine steel(harder to scratch) and the special black bezel. This is a pretty special watch. These aren't made from stainless steel but instead are made from submarine steel, so they are a lot harder to scratch. 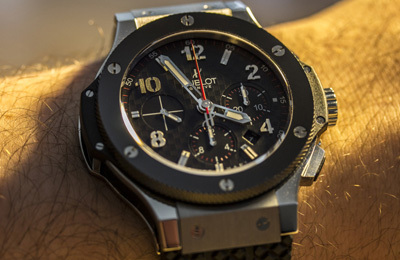 The U2 adds the GMT function to the watch. 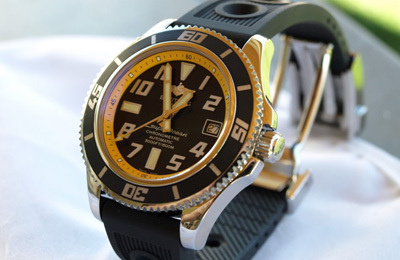 A diver chrono from Tag with a black dial and yellow accents. 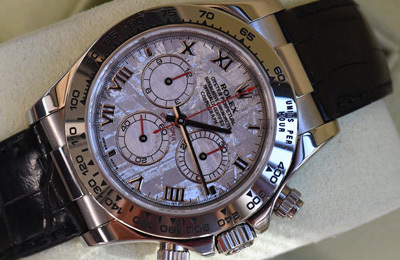 A stunning chrono with a very easy to read dial. 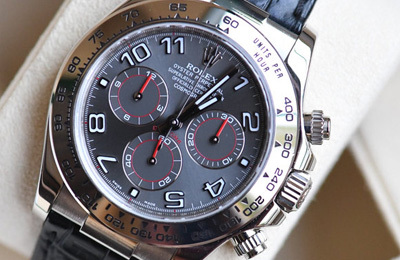 A stunning chrono with a very easy to read dial in gray. Powered by the 1887 movement. 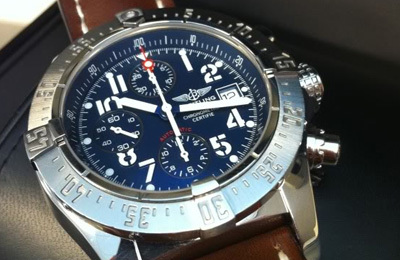 A stunning chrono with a flyback functionality. The top of the line Tag. 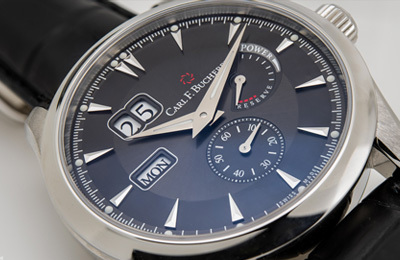 The Cal.36 movement is actually the Zenith El Primero movement, which makes this watch extra special. This is a watch for all the Breaking Bad fans out there. 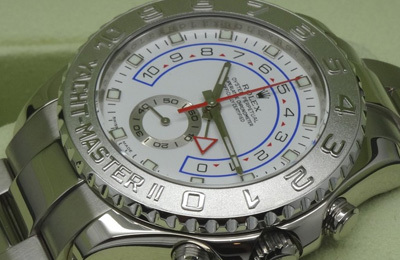 The same watch Walter White got when he finally "made it"
The Italian Rolex. 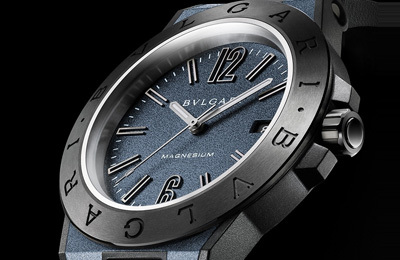 This is a limited edition version with blue accents, diamond hour markers and a textured dial. 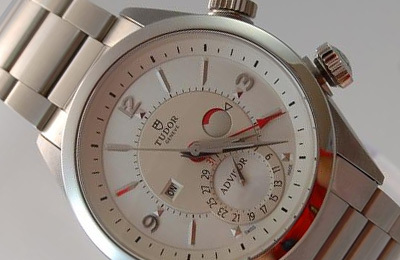 This is a unique Tudor with the alarm functionality complication. 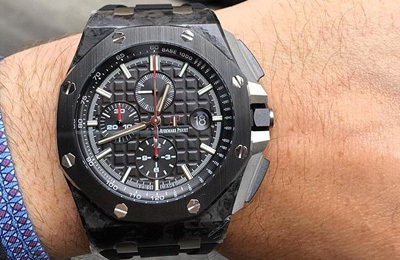 This is a unique watch with a ceramic case that adds a touch of sportiness. 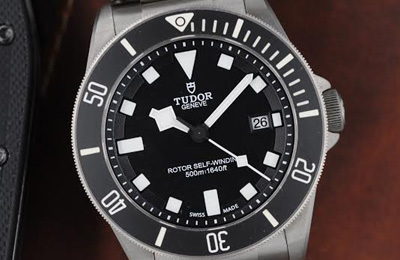 This is a classic sporty watch from Tudor. This version features an eye catching red bezel. 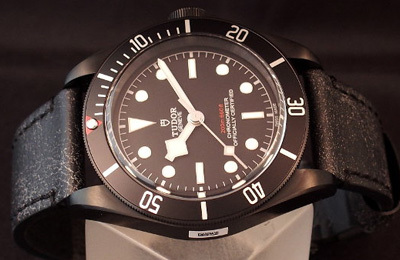 This is a classic sporty watch from Tudor. 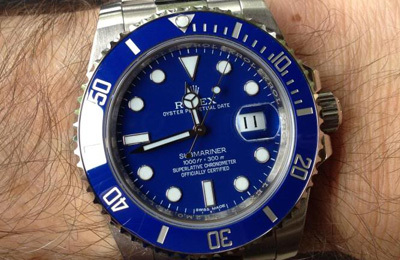 This version features an eye catching blue bezel and a bracelet. 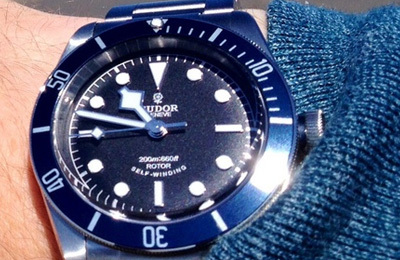 This is a classic sporty watch from Tudor. 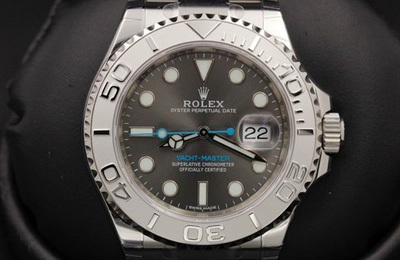 This version features a subdued black bezel, perfect for anyone looking for something a bit more low key. 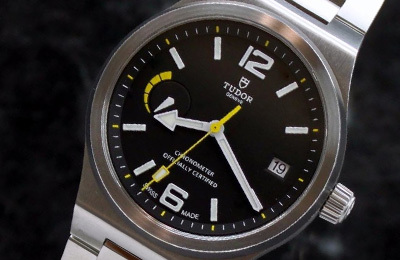 This is a sporty watch from Tudor with a power reserve and yellow accents. 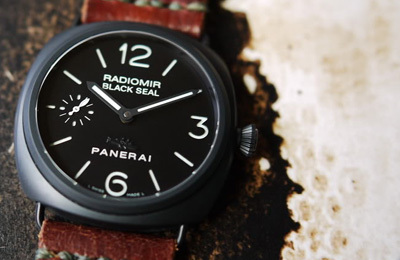 The ranger is a simple entry level watch that's a good place to get your feet wet with luxury watches. 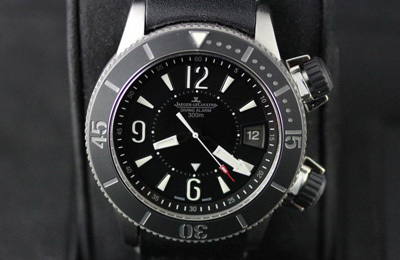 This is a beautiful titanium diver with stunning lume in black. 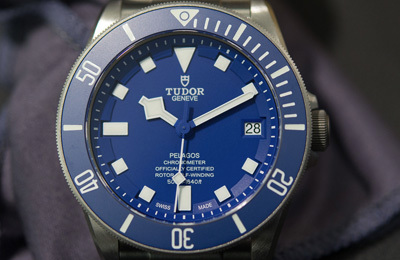 This is a beautiful titanium diver with stunning lume in blue. 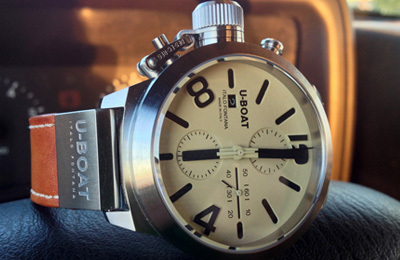 One of the smallest U-Boats you'll find(just 45mm vs their usual 50mm), perfectly matches to a stunning beige dial. 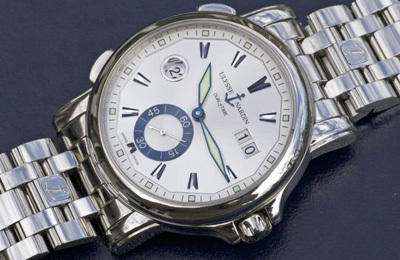 A great gmt from Ulysse Nardin. Perfect for those of you that travel a lot. 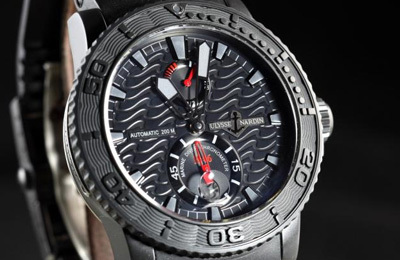 A great diver from Ulysse Nardin. 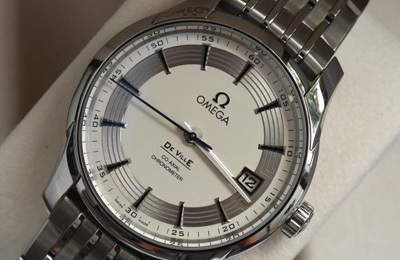 This models features an engraved "wave" dial and a wavy bezel. 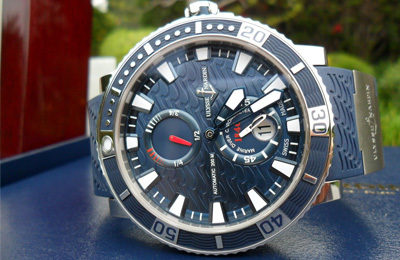 A great diver from Ulysse Nardin. 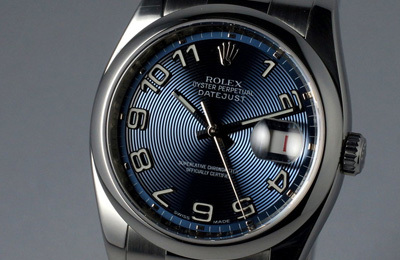 This model features an engraved "wave" dial and a wavy bezel. 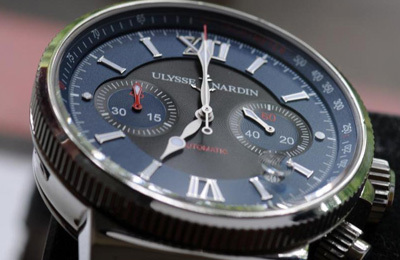 A great chrono from Ulysse Nardin. The blue/black dila just pops. 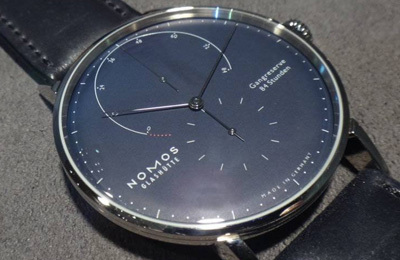 This is a stunning watch with a uniquely designed case. The dial is easy to read and the whole package just pops on your wrist. 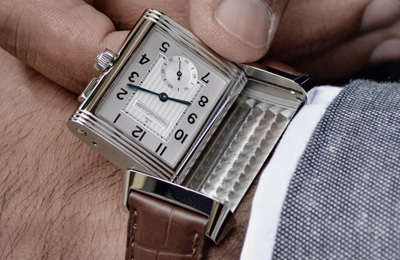 This is a stunning watch with a uniquely designed case. The dial is easy to read and the whole package just pops on your wrist. This version has the GMT functionality. 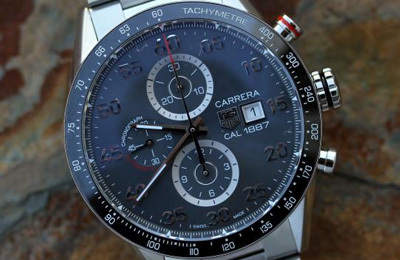 A great looking chrono that keeps your wrist sharp. 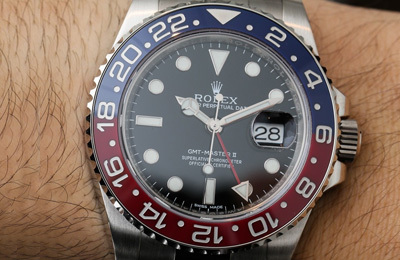 GMT and power reserve complications. 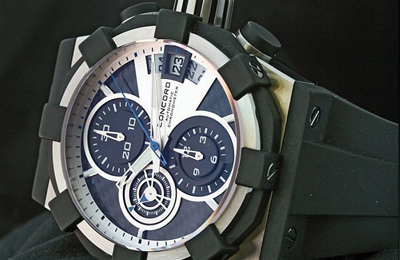 A great looking chrono that keeps your wrist sharp. 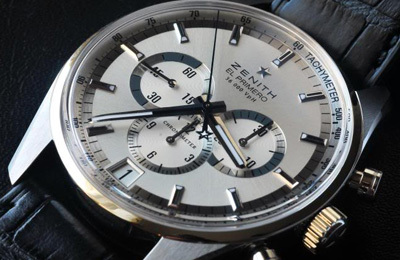 A stunning chronograph in a solid built case. Add a real presence to your wrist with this watch. 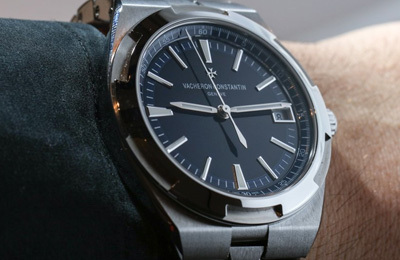 This is an amazing looking watch, by far one of the best looking ones on the market today. 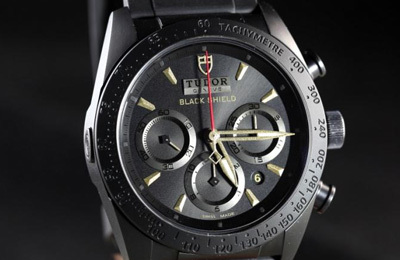 This is an amazing looking watch, by far one of the best looking ones on the market today. A very limited edition. 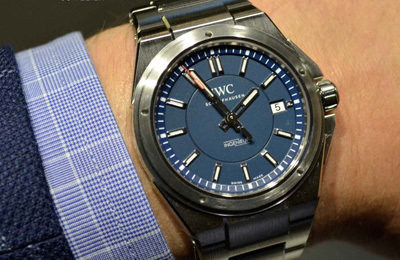 This is an amazing looking watch, by far one of the best looking ones on the market today. 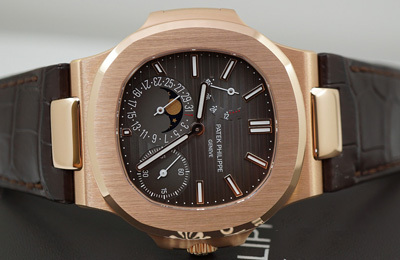 This version comes with the moonphase complication. A unique looking watch thanks to its big crown. And the 40mm version is perfect if you just can't pull off the bigger version. A unique looking watch thanks to its big crown. 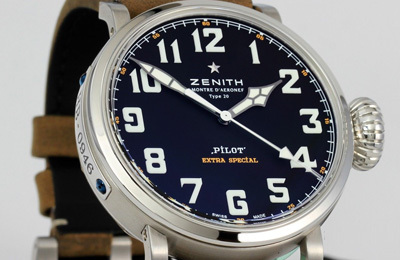 Easy to read dial makes it a popular pilot watch.